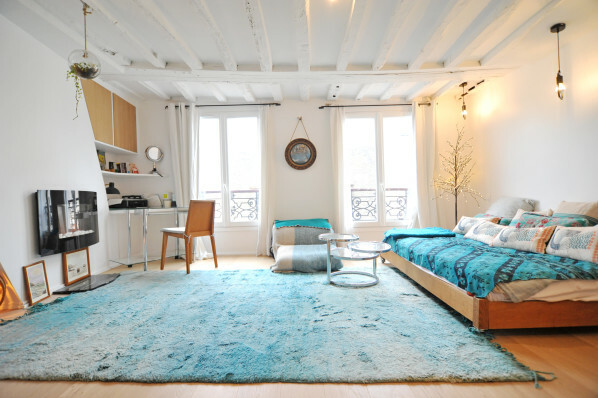 Paris Rentals by Ruben, « Your keys to the World » S.L.  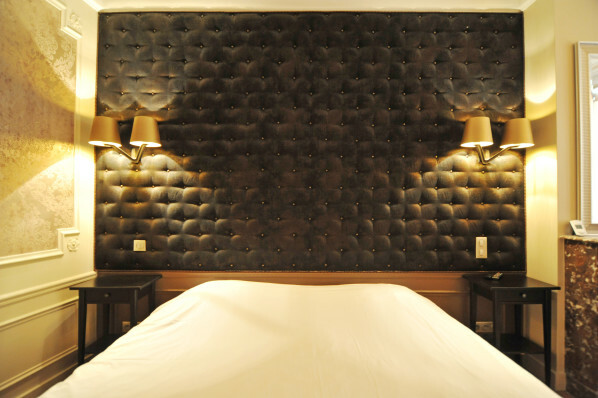 was founded by Ruben Elmaleh, a specialist in the service industry (restaurants and hotels) for more than 20 years. 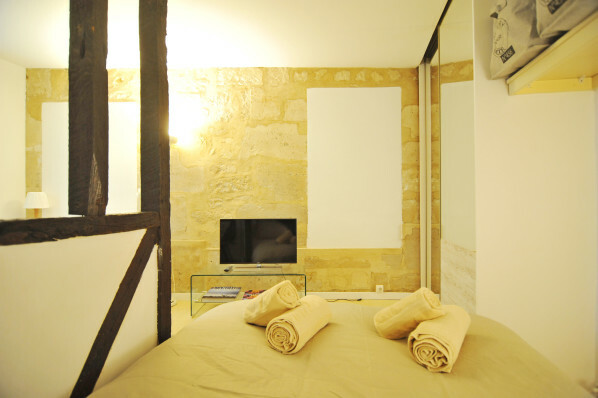 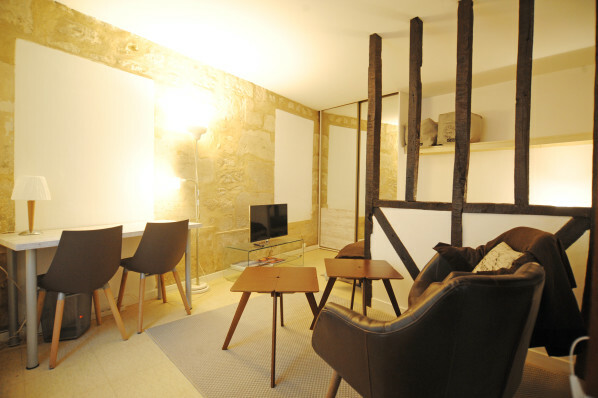 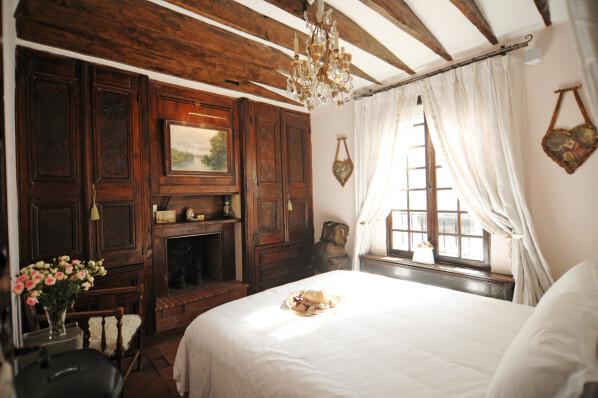 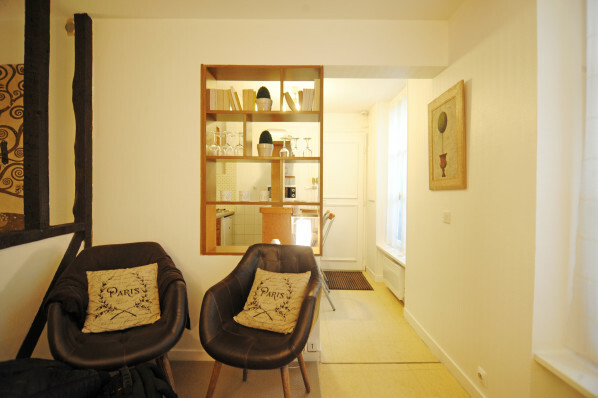 Ruben’s team is multi-lingual and provides personal attention for travelers and Paris apartment owners alike. 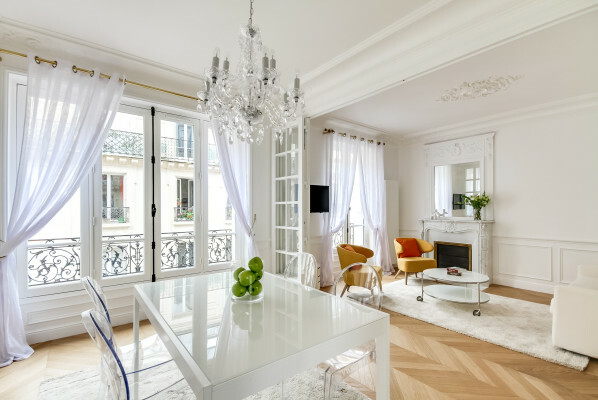 Whether you are searching for help managing your Paris apartment or searching for an apartment to rent for your next Parisian holiday, Paris Rentals by Ruben is here to help! 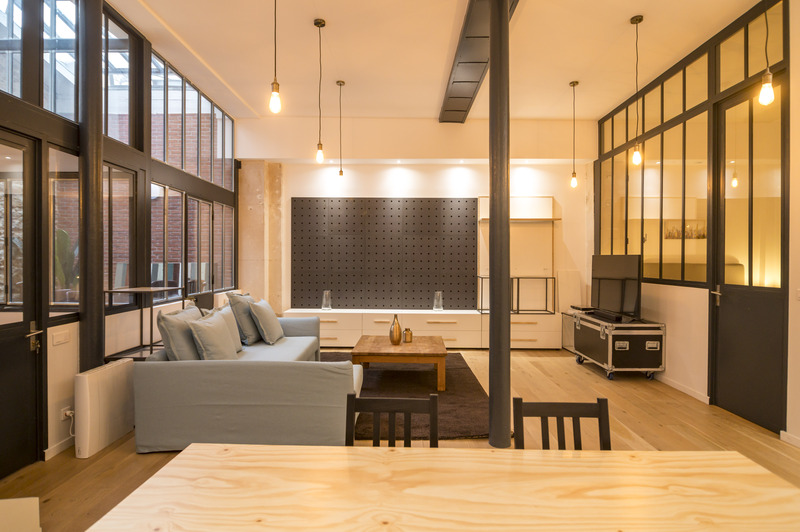 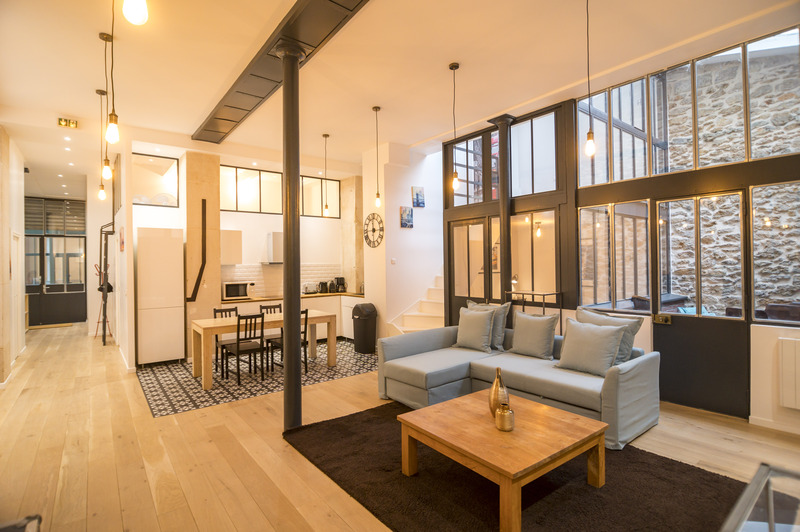 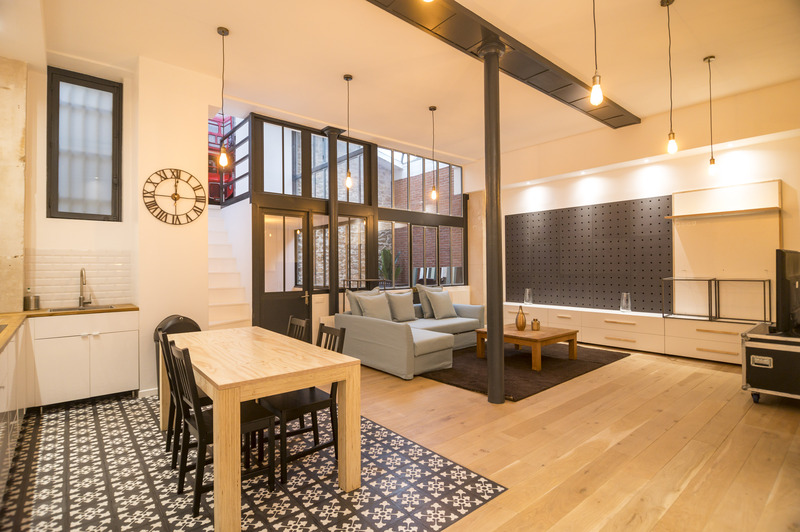 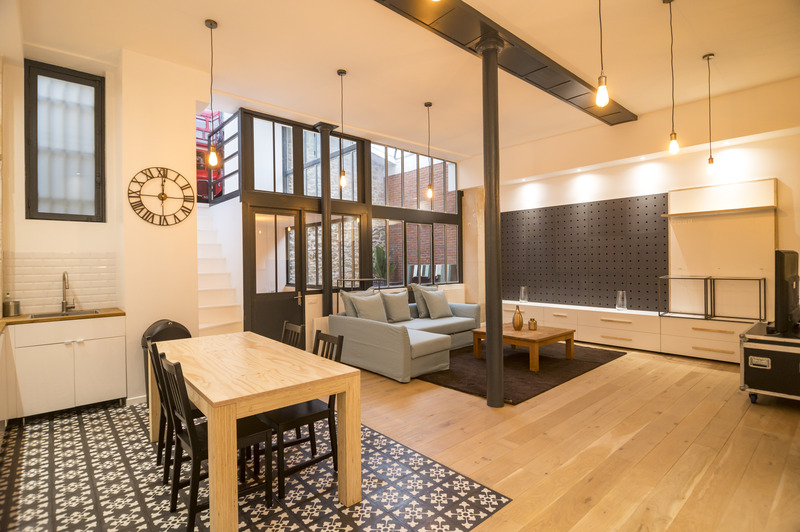 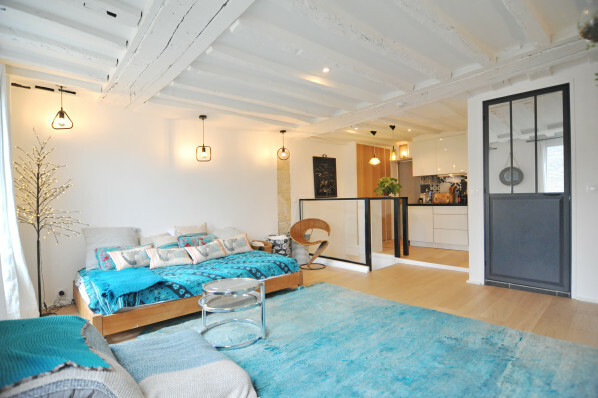 Located in the trendy 10th arrondissement, this spacious loft will deliver the full Paris experience. 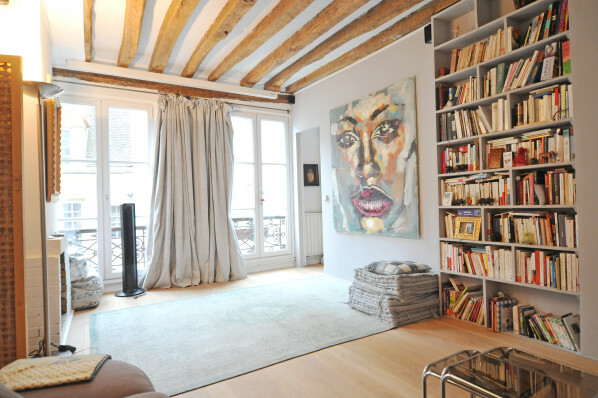 Stroll down the famous Canal St. Martin, browse the many bookstores, and mix with the artists and other creatives who inhabit this exciting neighborhood. 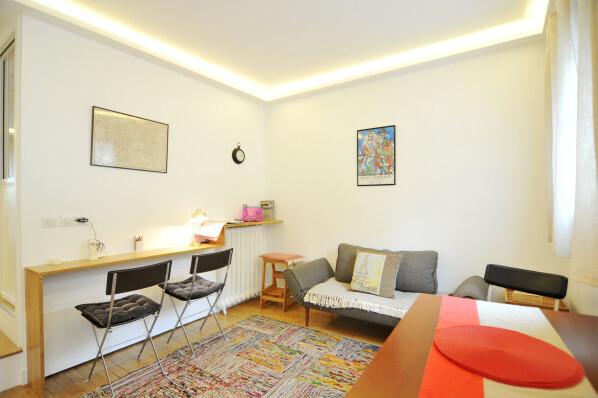 Click below to book this wonderful apartment. 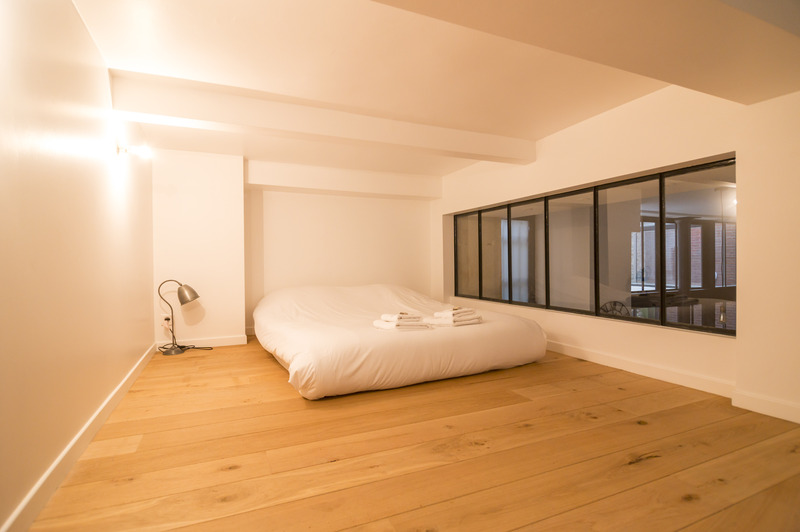 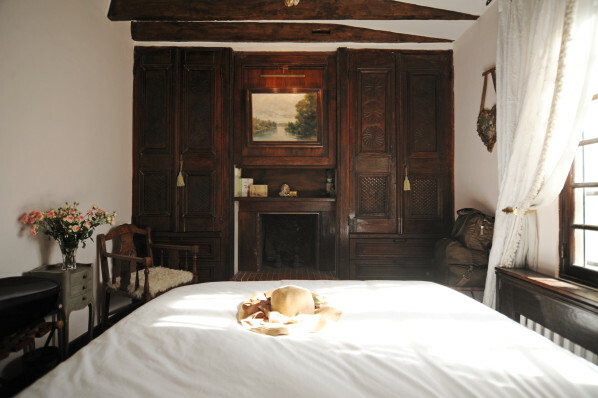 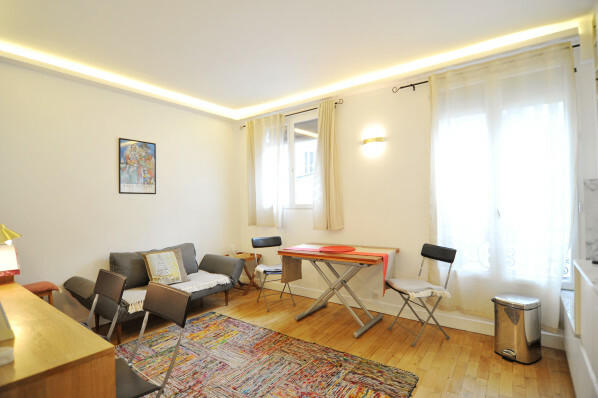 This cozy, sunny studio is located in the Marais, within walking distance of the winding streets filled with art galleries, restaurants and churches. 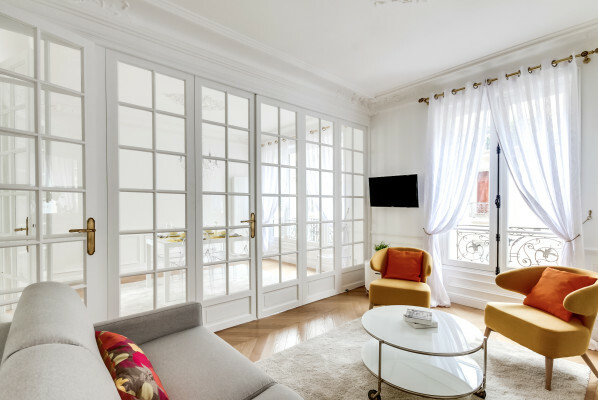 Take a stroll down to the Seine, or over to the Isle de Cité, or up to Galeries Lafayette, and the best shopping in Paris. 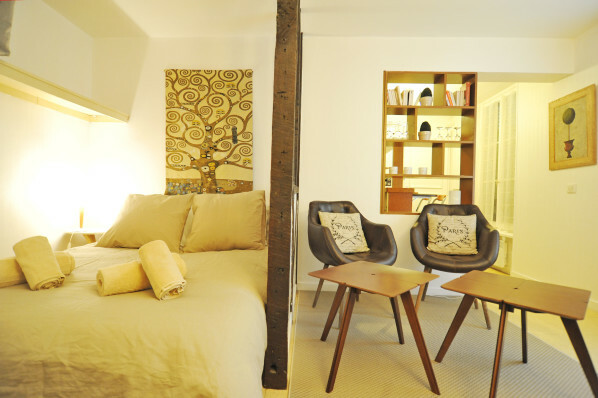 Welcome to your home away from home along with the luxury to go with it. 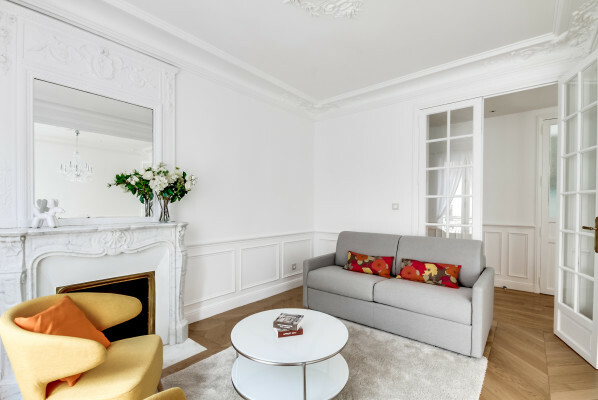 Nestled directly across from the Porte De Versailles this newly renovated 2nd floor modern luxury rental has exactly what you need for a perfect stay.The spacious and delightful 1-bedroom apartment at 50m2 is located in the tranquil fifteenth arrondissement and accommodates up to 4 guests. 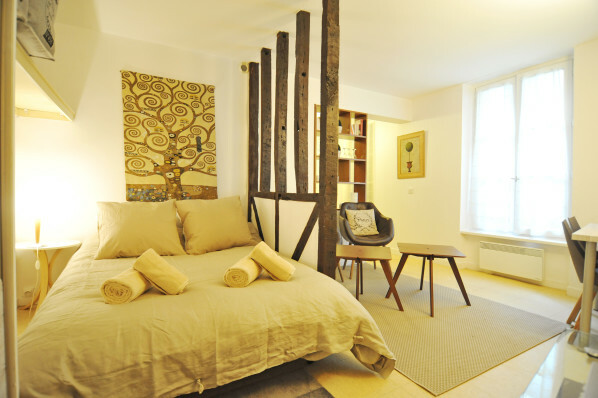 This 80sqm, 2 bedroom apartment with queen sized beds that sleeps 4 is nestled on a quiet street in the 16th district. 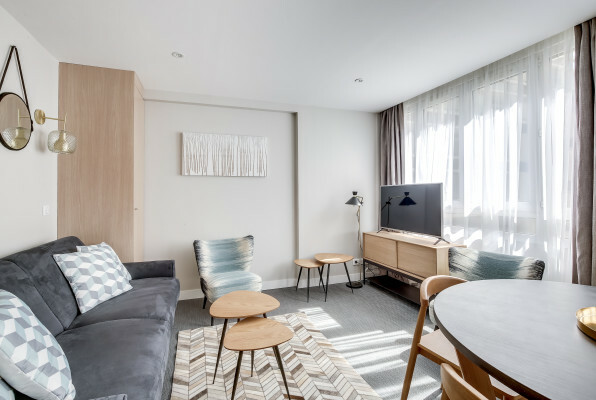 This airy, light-filled apartment provides you with the modern amenities you need/want (washer/dryer, dishwasher, cable TV/Wi-Fi, heated towel rack and a fully equipped kitchen). 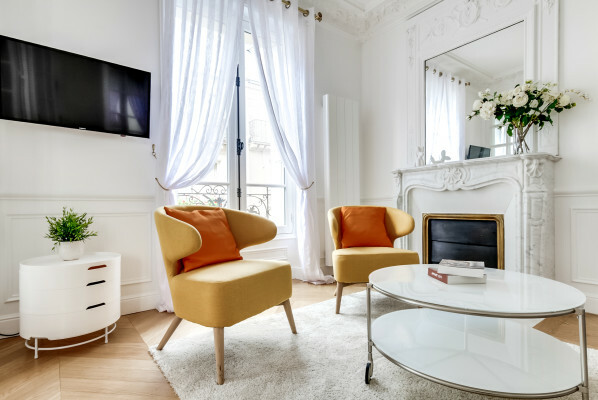 This beautiful apartment has been carefully furnished with extremely comfortable pieces that will allow you to rest and rejuvenate after spending a stimulating day exploring some of the most famous historical and modern sites Paris has to offer. 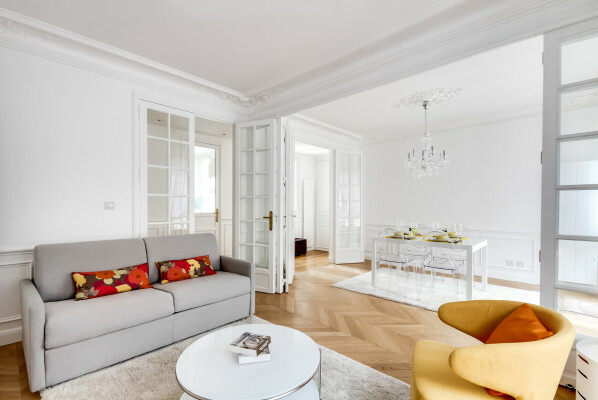 This bright, sun-filled apartment boasts original details of the Hausmannian architecture with its high ceilings, and ornate moldings. 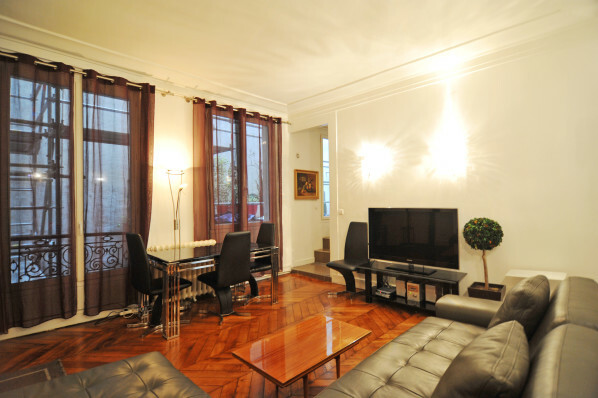 This apartment is located on the 1st floor with elevator. 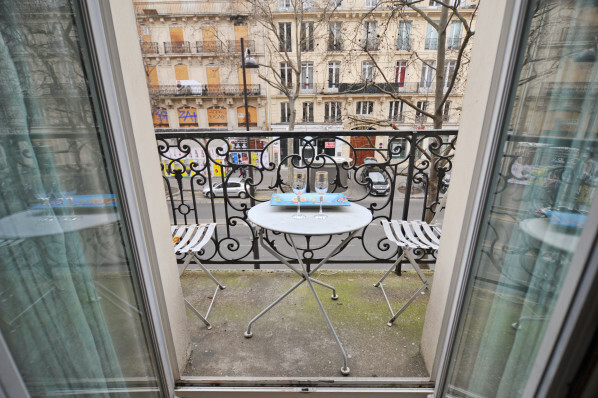 Kleber (line 6) Metro and bus #52 are within walking distance to the apartment. 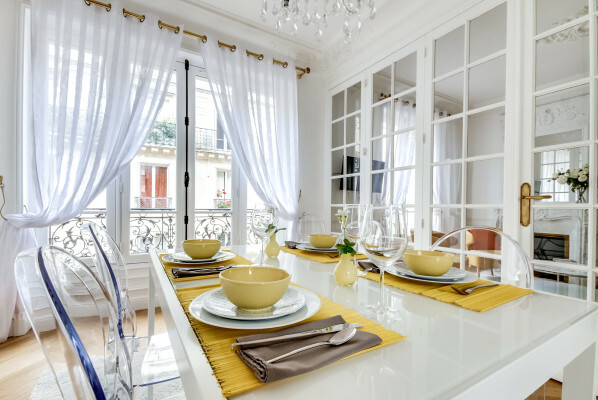 Situated in one of the most prestigious and bourgeois districts of Paris, exuding calm along its wide tree-lined boulevards, perfect for long evening strolls or sipping a glass of champagne or rosé on a terrace at one of the typically Parisian cafés before heading to a delightful gourmet restaurant, this apartment will make your stay in romantic Paris far more enjoyable than many. 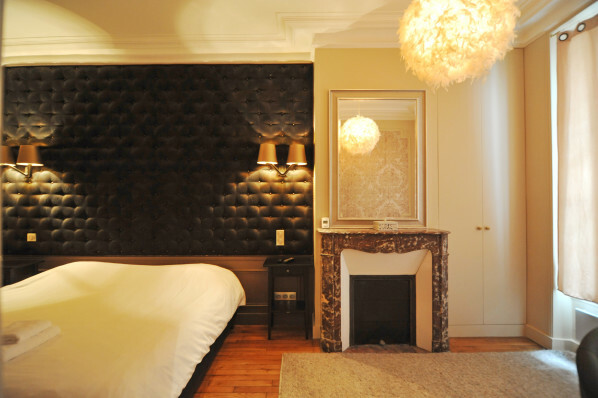 Make the most out of your trip to Paris in the comfort and beauty of this exceptional home. 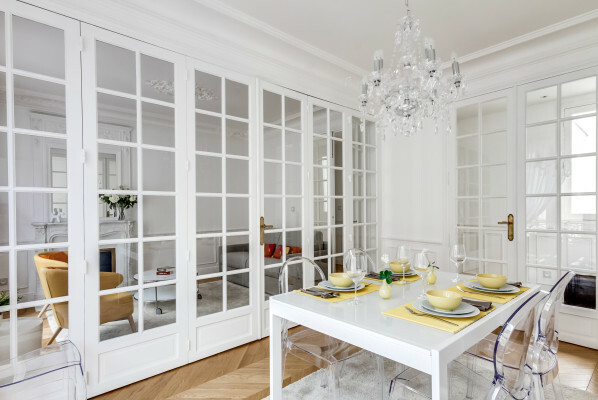 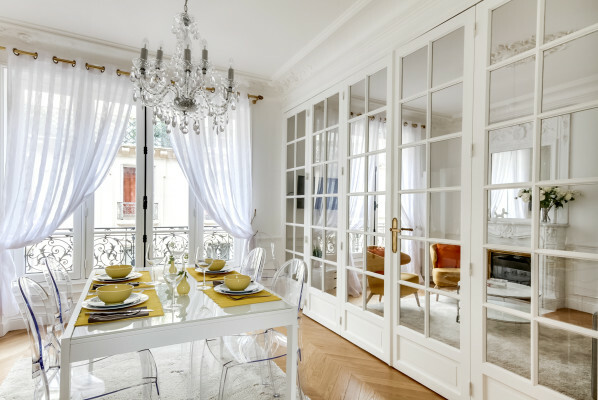 Located in the chic 16th arrondissement, this exquisite apartment combines Parisian charm with modern luxury. 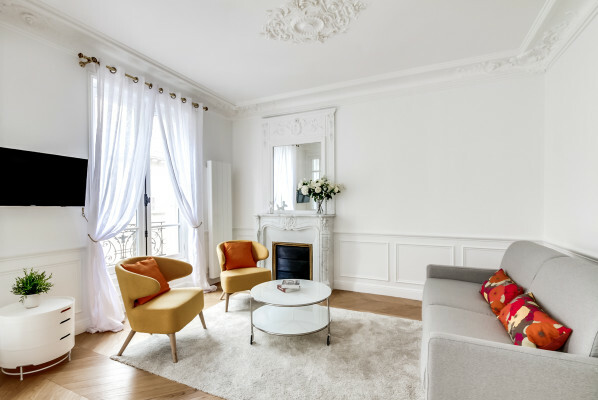 Airy and light-filled, traditional and yet ultra modern, Zen Parisien accommodates up to four people and is fully equipped for your convenience — including air conditioning! 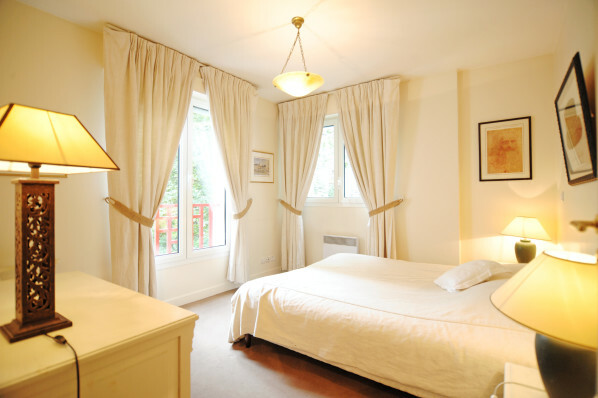 Enjoy the apartment’s modern amenities, from the elevator to high-speed Internet access in a truly French setting. 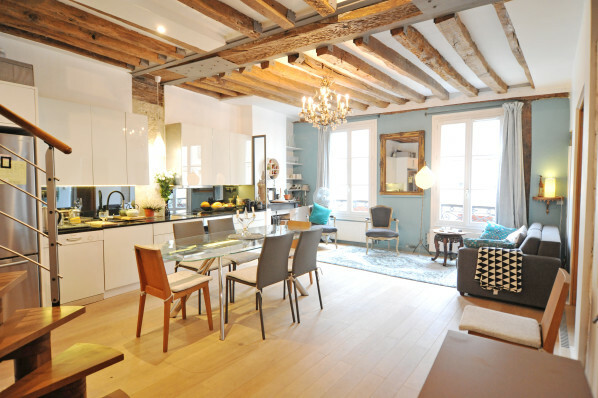 Experience the true magic of Paris with this gorgeous luxury apartment. 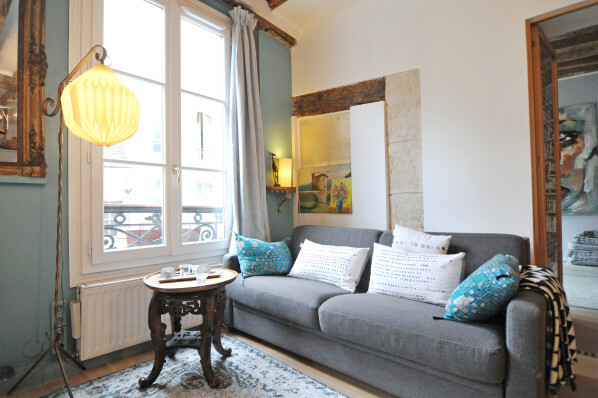 Located at the very heart of the city, on the enchanting Île Saint-Louis, this apartment accommodates four guests in comfort and style. 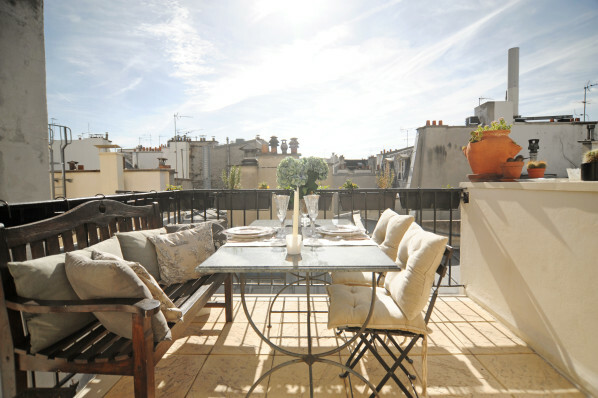 You’ll enjoy stunning views from the pair of rooftop terraces, modern amenities, and classic, timeless Parisian design. 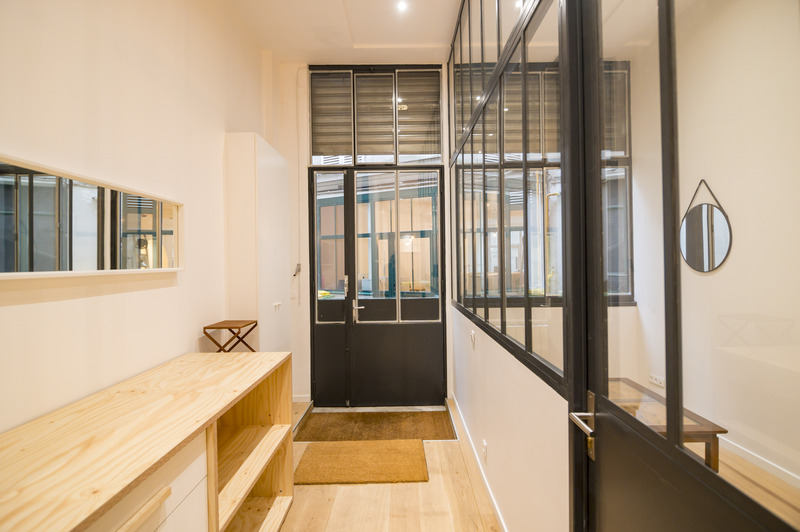 (Please note that this building does not have an elevator.) 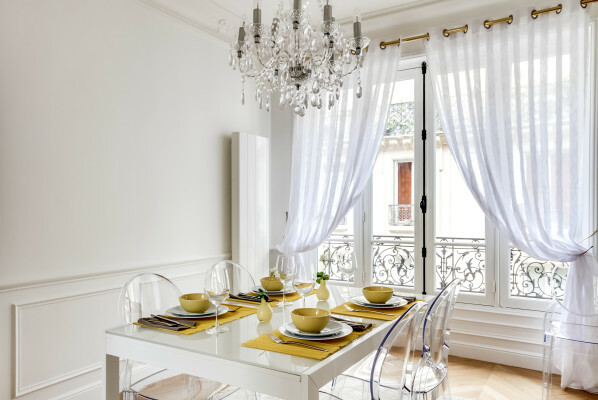 Guests even receive a complimentary welcome package, which includes fresh flowers, French wine, and—for early arrivals!—delicious, buttery croissants. 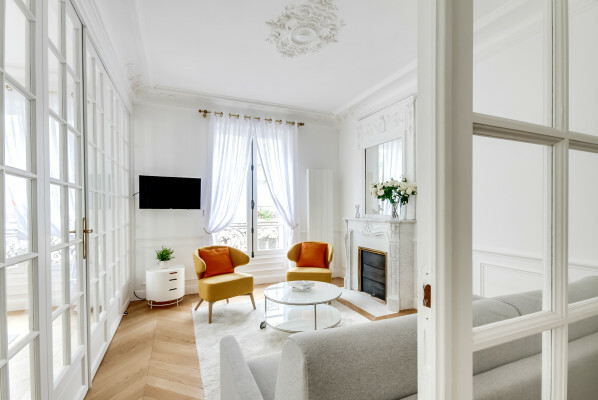 Cozy and cool in Paris’s République neighborhood, let this chic one-bedroom apartment be your home away from home during your next getaway to the City of Lights. 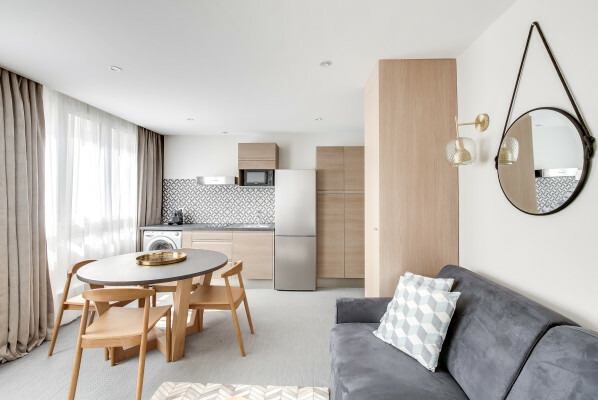 This apartment accommodates up to three guests and, with everything from high-speed Internet to dishwasher, is fully equipped for today’s traveler. 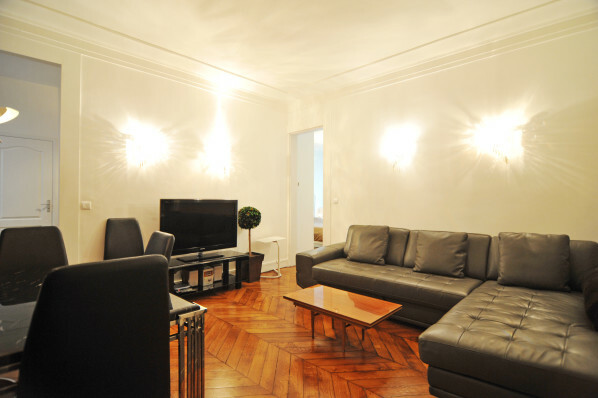 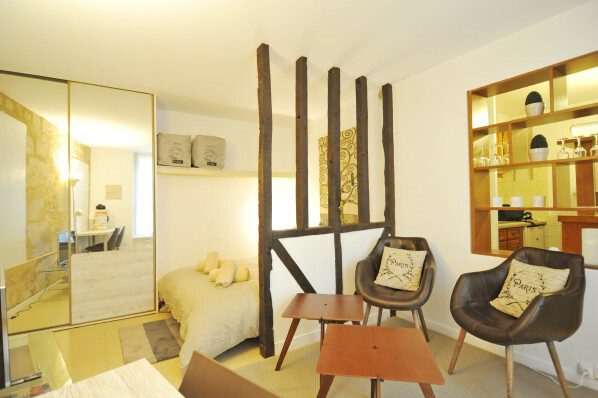 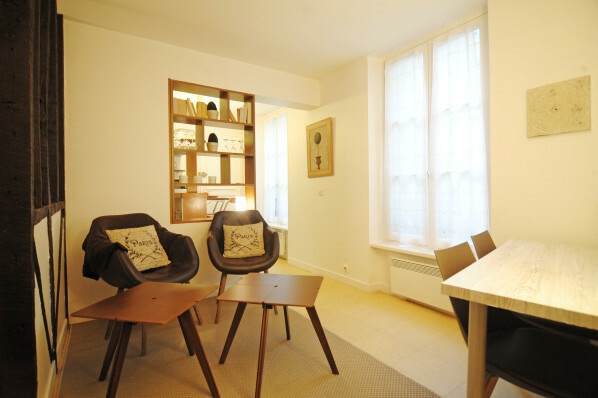 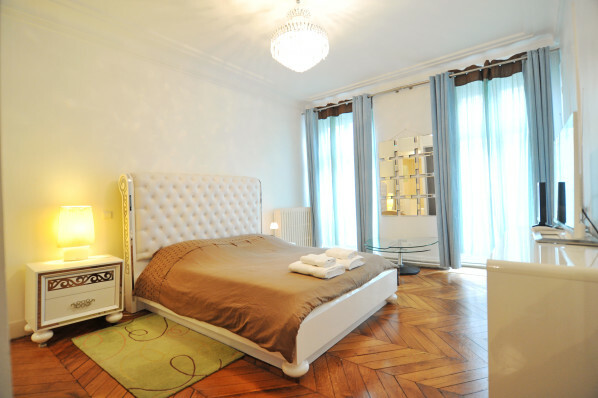 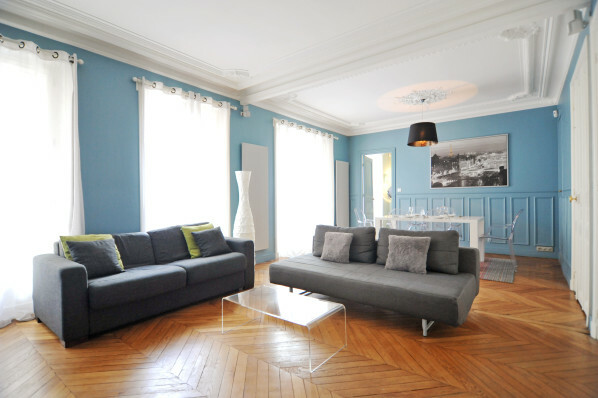 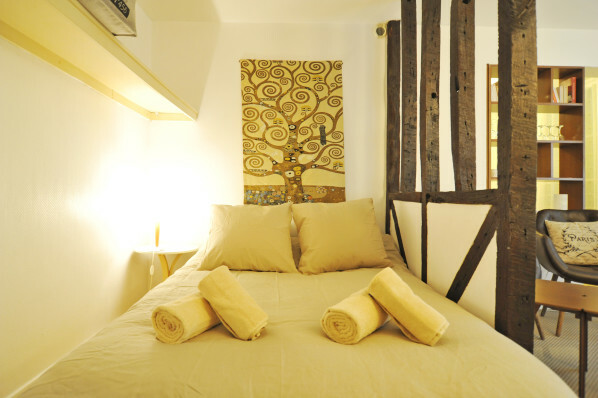 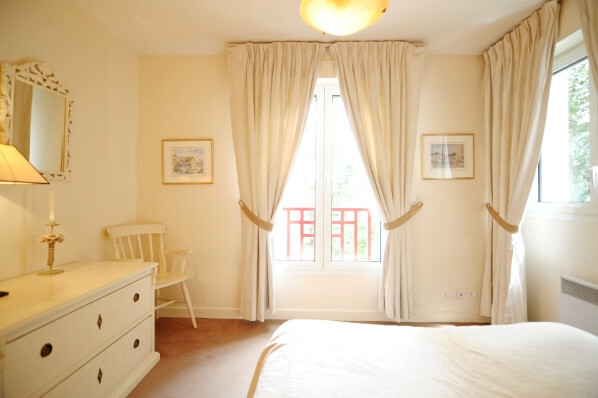 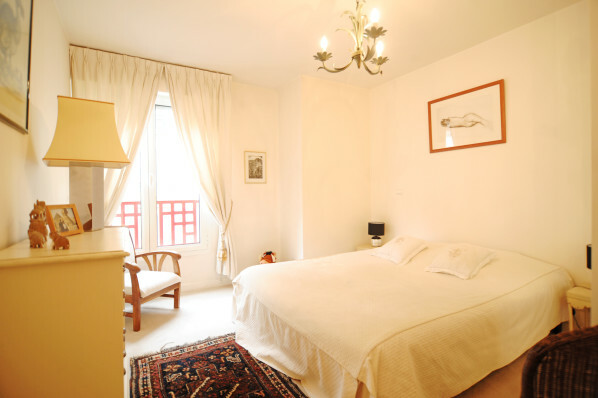 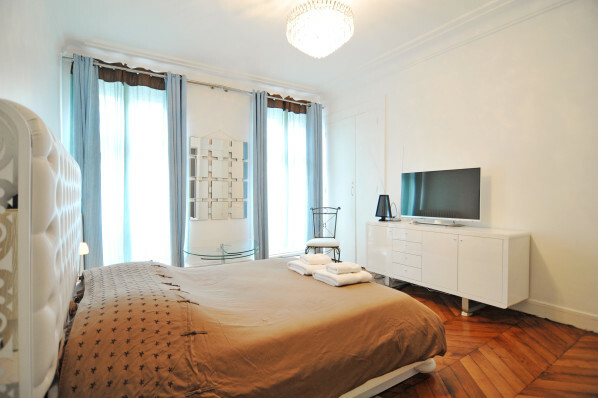 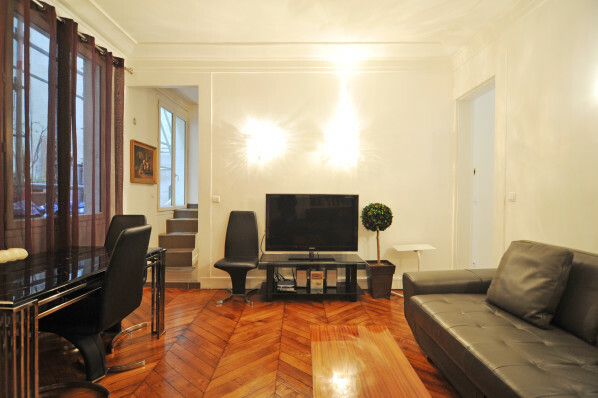 Book your stay in this lovely apartment today, and enjoy the best Paris has to offer. 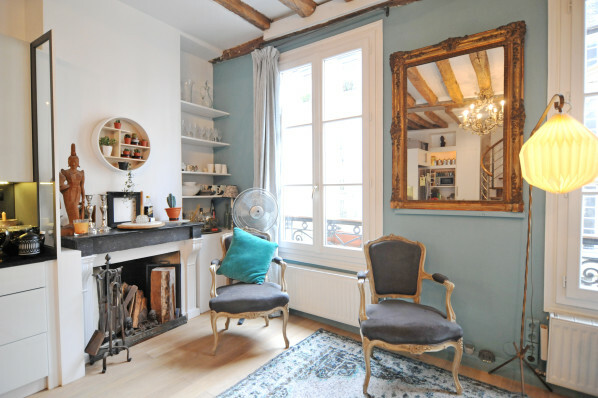 Soak in the charm of an authentic Parisian experience with this beautiful studio in the quietly cool Batignolles neighborhood. 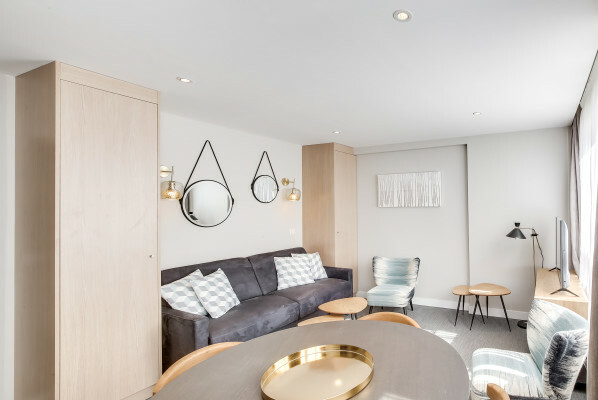 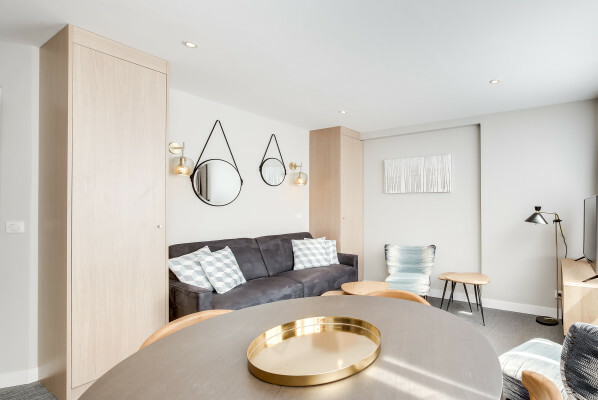 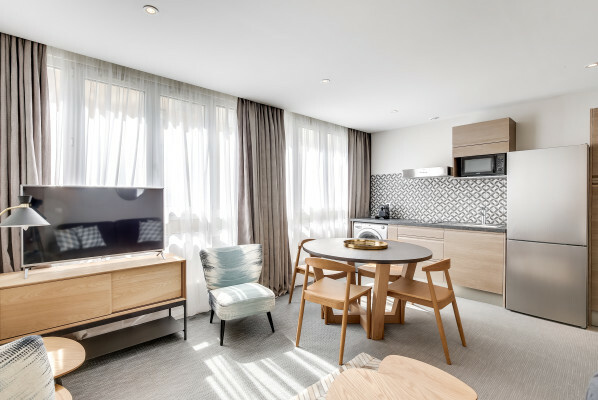 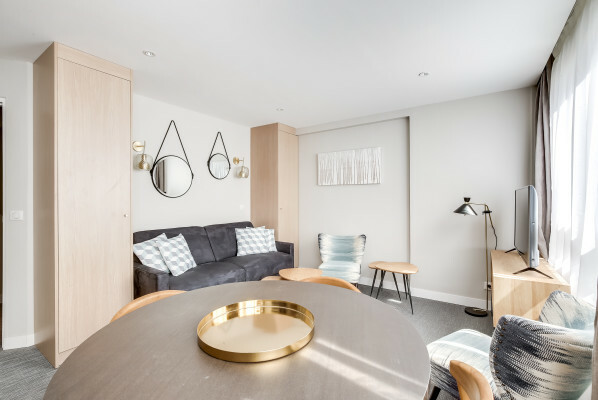 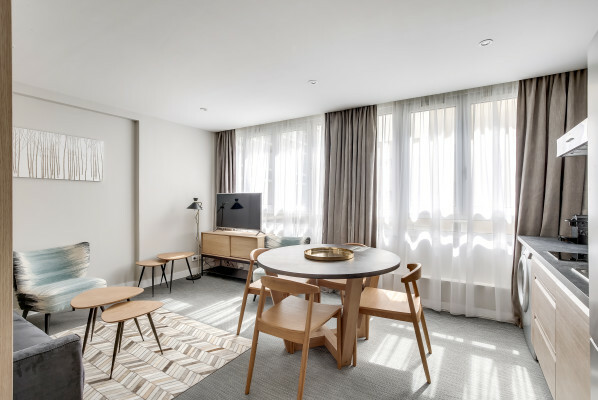 Equipped to accommodate up to three guests, the apartment has recently gone a full renovation, and is a marvel of modern efficiency and design. 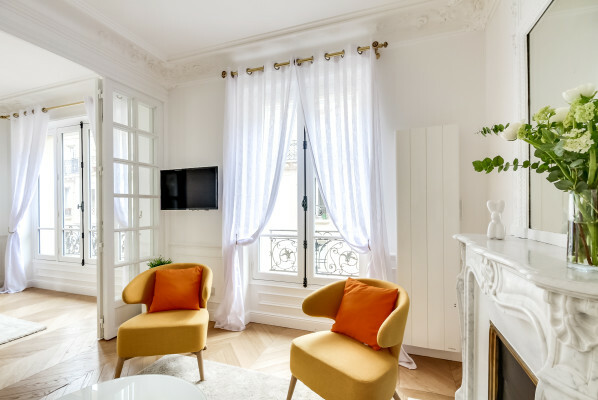 You’ll enjoy the calm of the view over an interior courtyard and Parisian rooftops, while the most famous sights of the City of Lights wait just a short subway ride away! 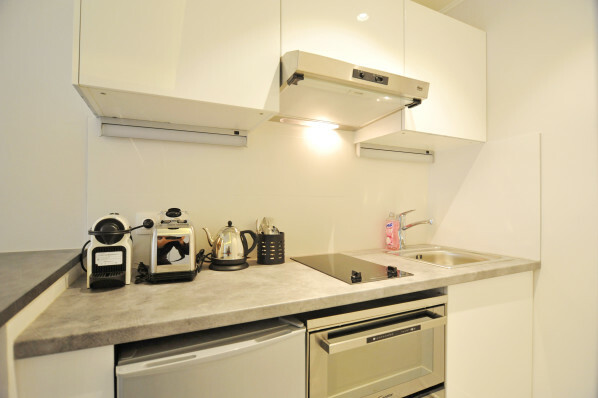 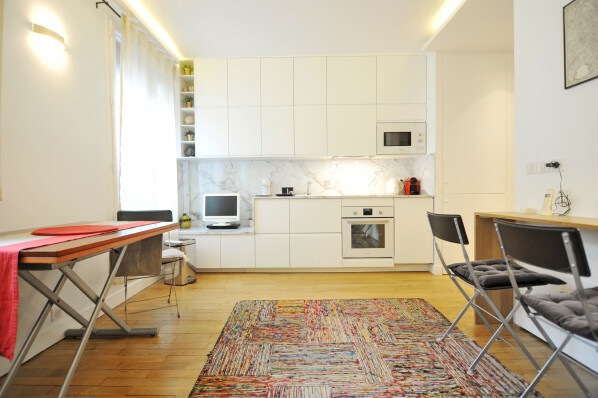 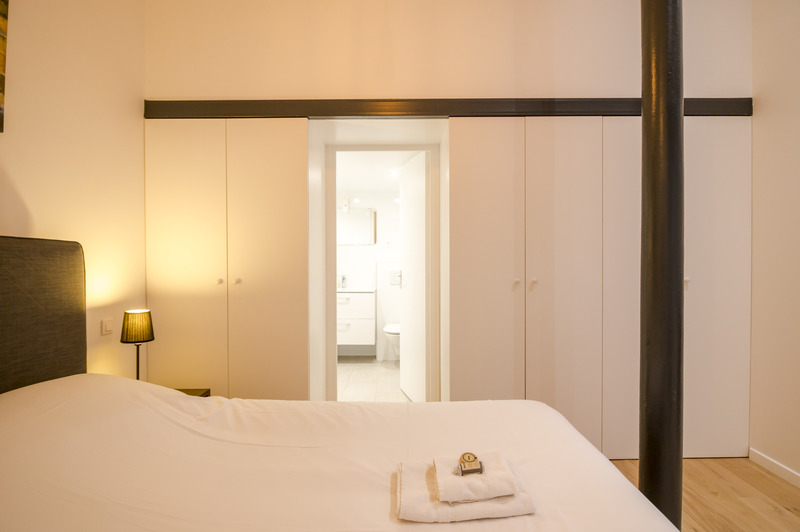 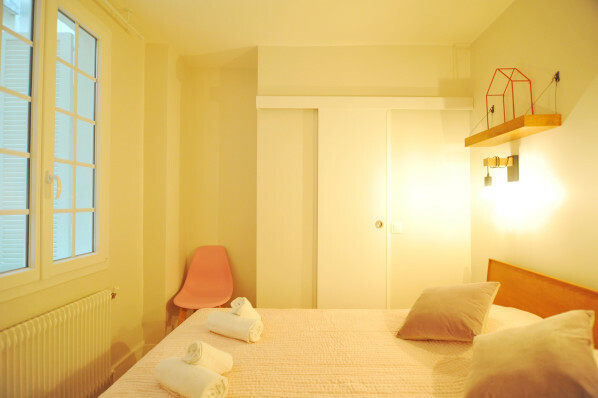 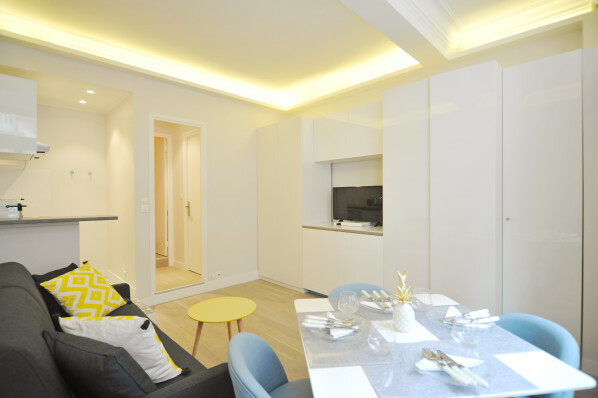 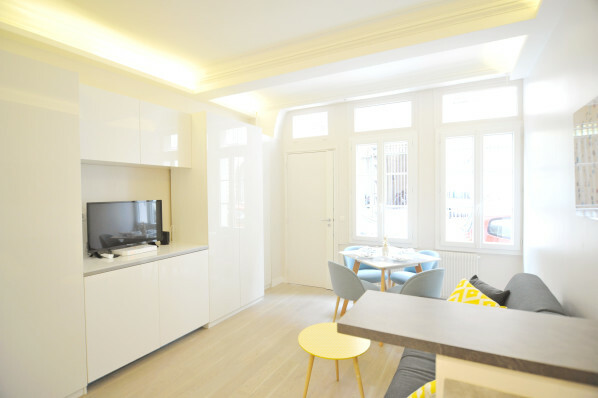 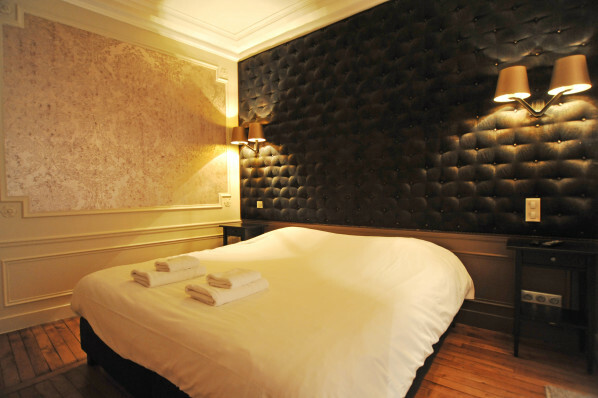 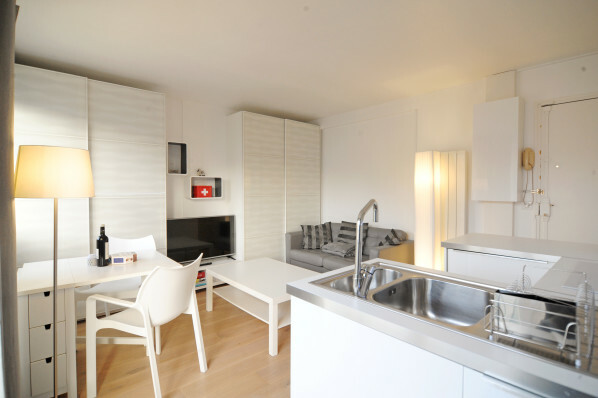 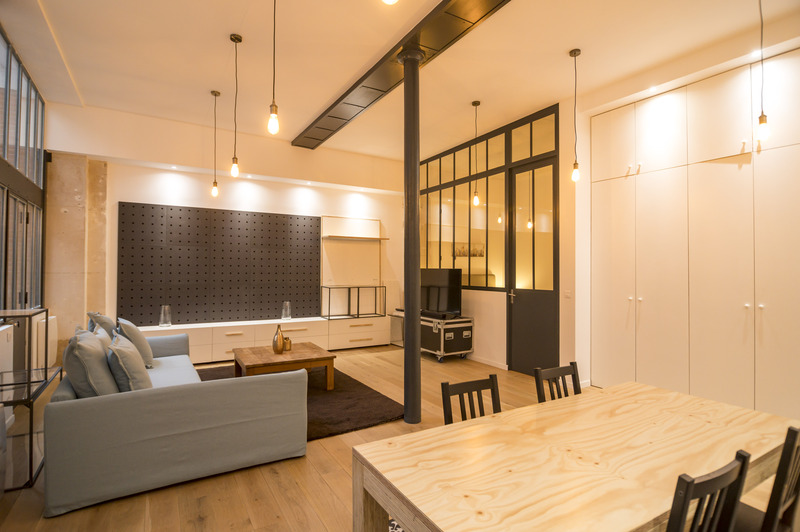 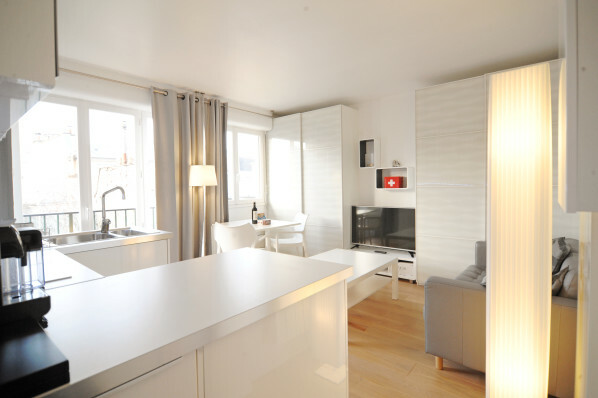 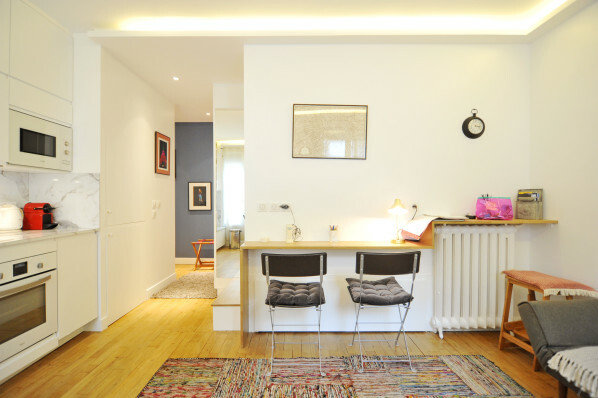 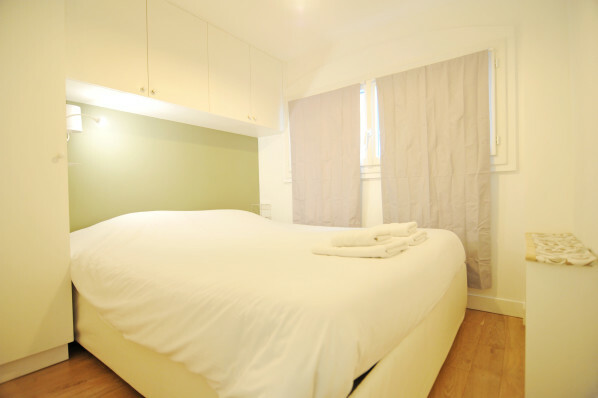 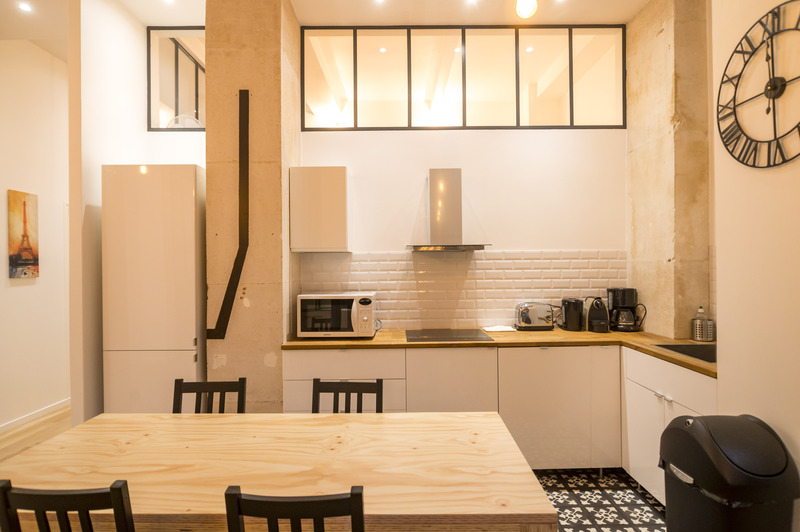 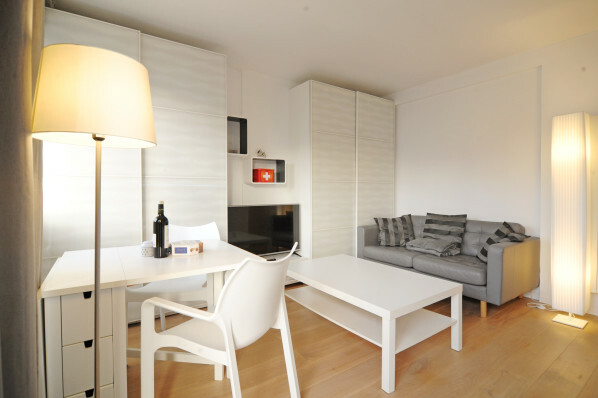 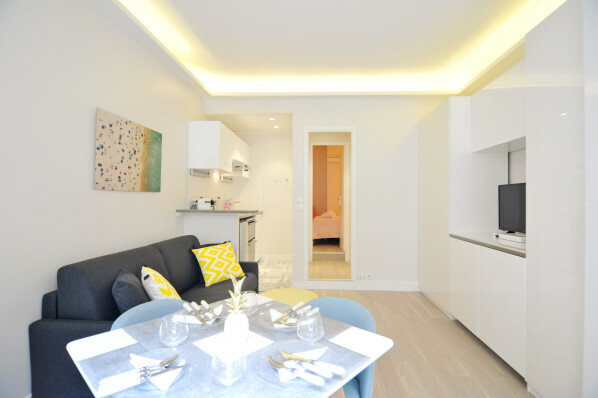 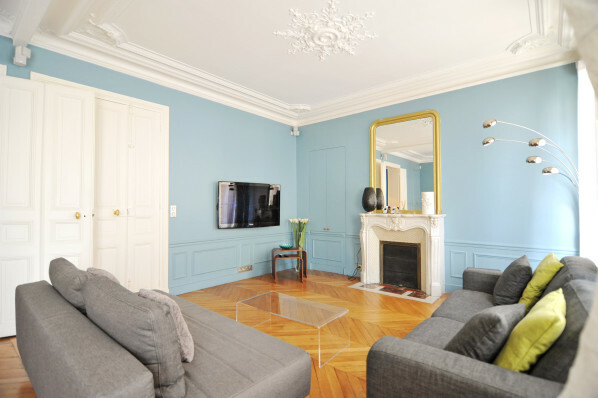 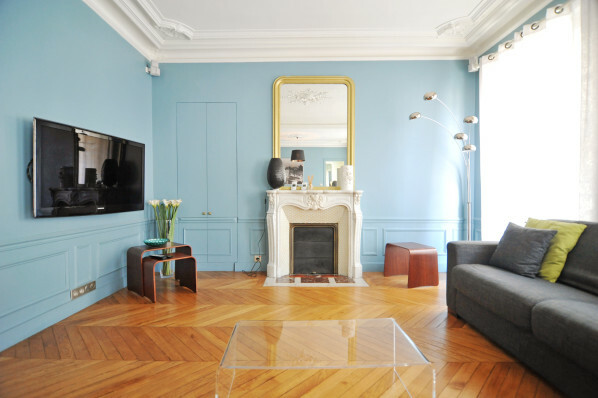 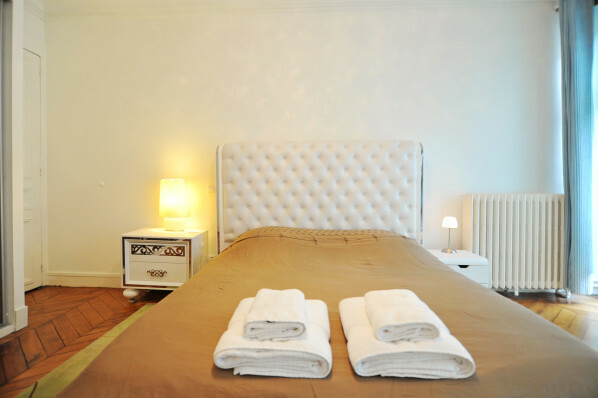 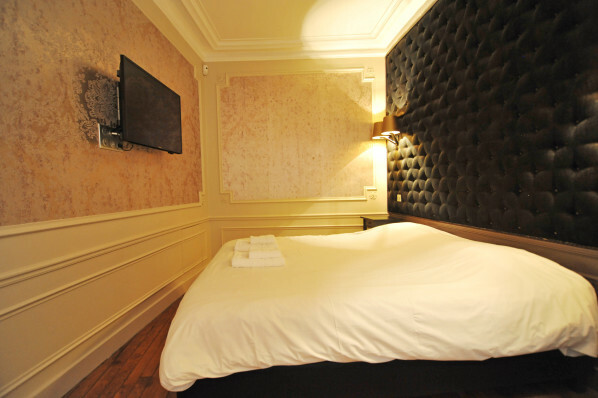 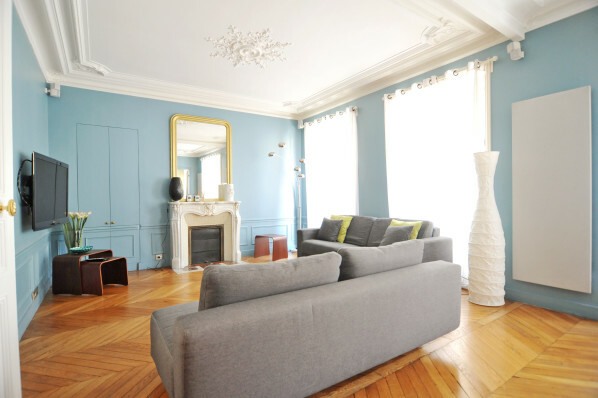 Welcome to Sweet 16th, your two-bedroom home on rue Ranelagh in the 16th arrondissement of Paris! 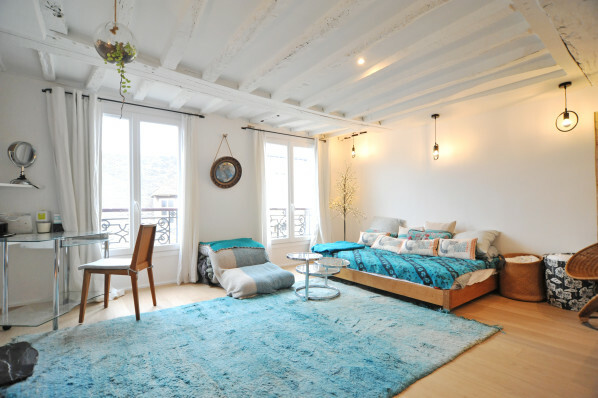 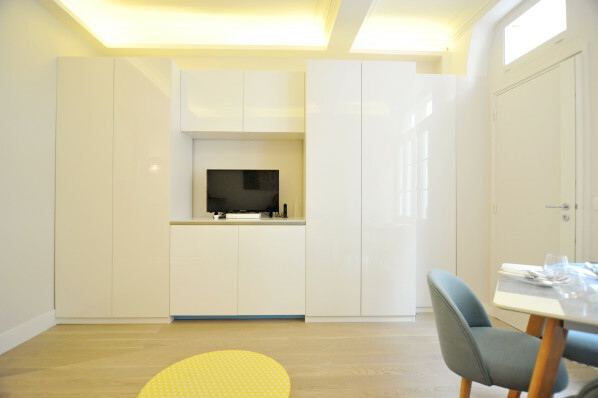 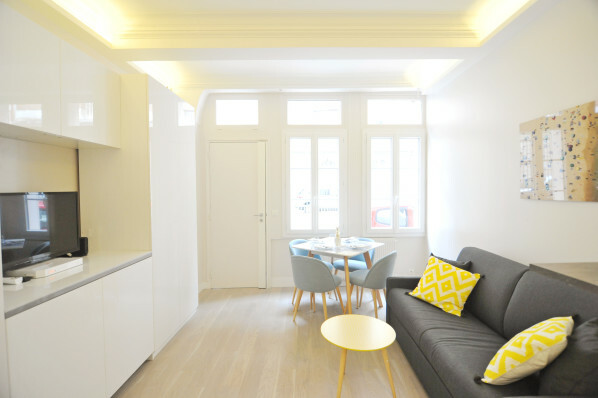 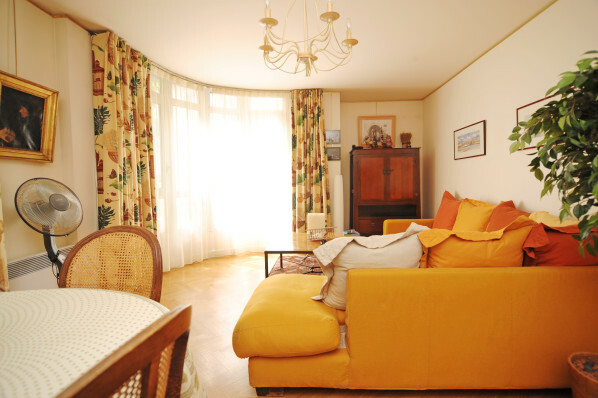 This cheerful, sunny apartment is a welcome haven after a long day of sight-seeing around Paris! 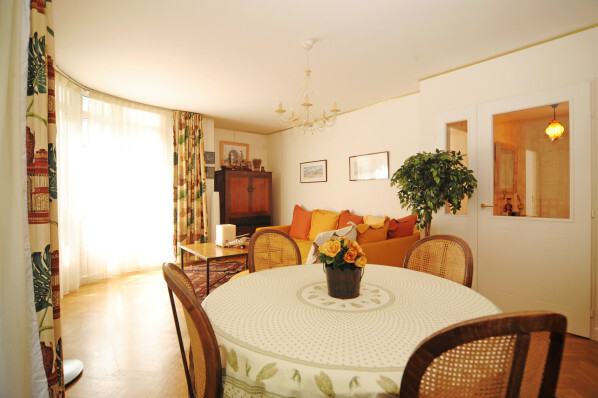 You’ll feel immediately at ease, hanging out with family and friends in the living/dining area of this apartment. 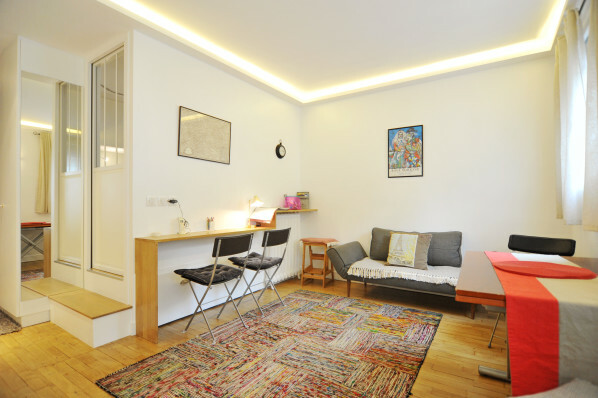 The apartment is 80 square meters and is a true two-bedroom apartment, with privacy for two couples and space for families. 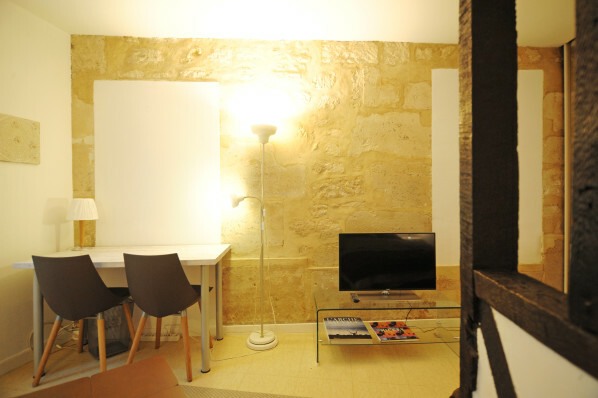 The apartment has an elevator and is located on the 3rd floor and faces an interior courtyard, ensuring a quiet night sleep. 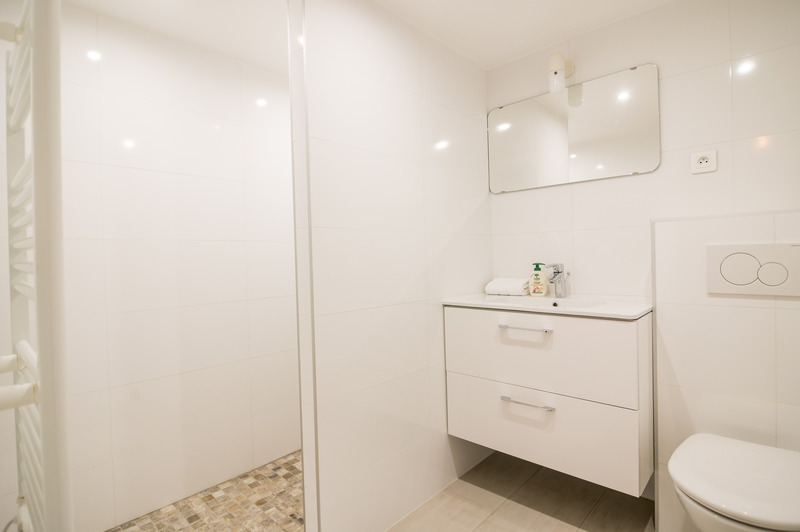 The modern shower room is separate from the toilet room, and both are accessible separately, without bothering anyone in the bedrooms. 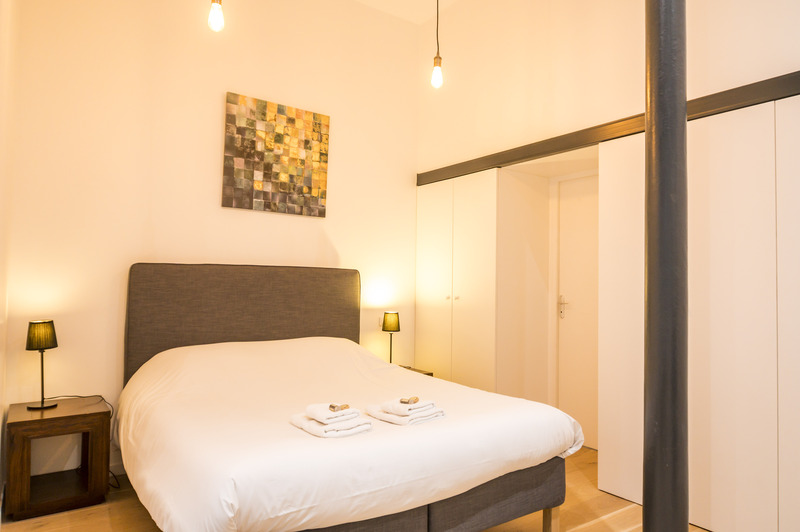 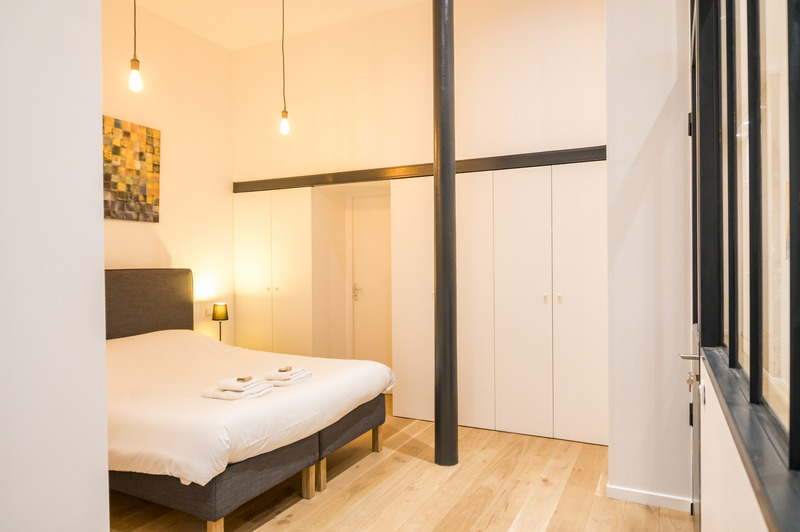 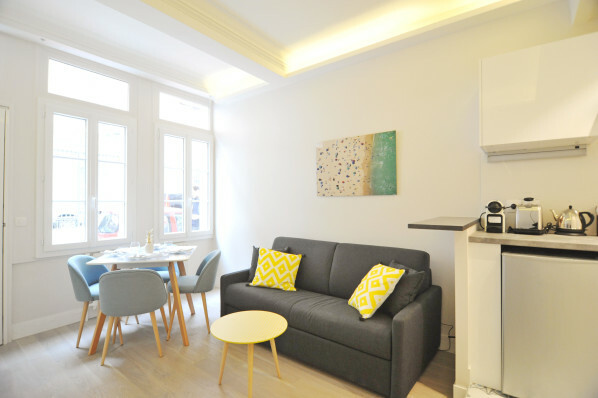 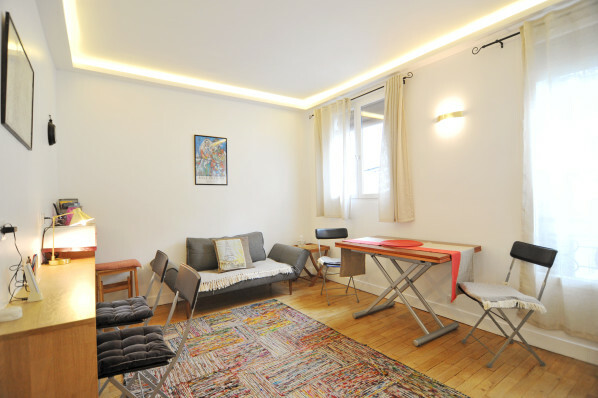 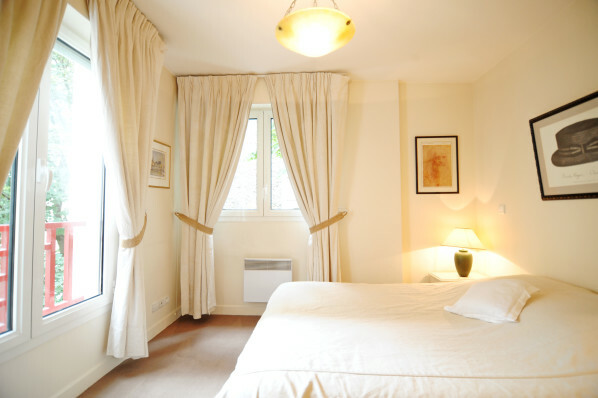 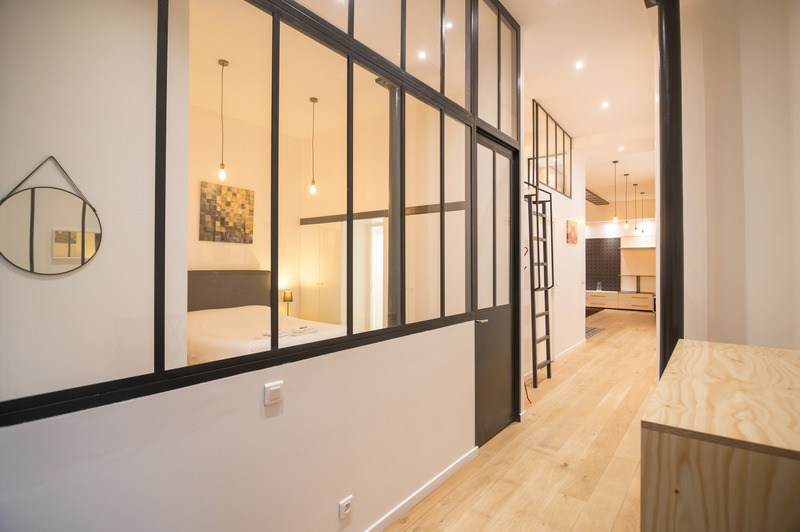 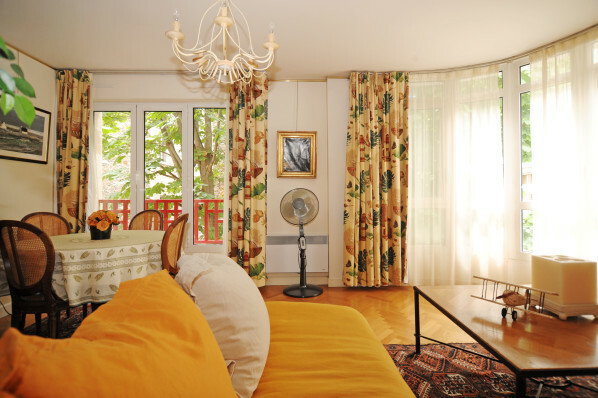 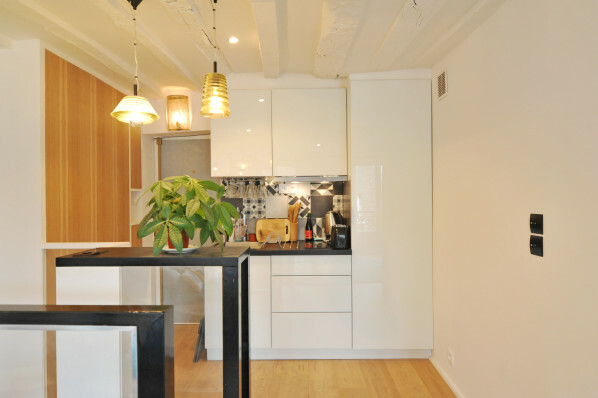 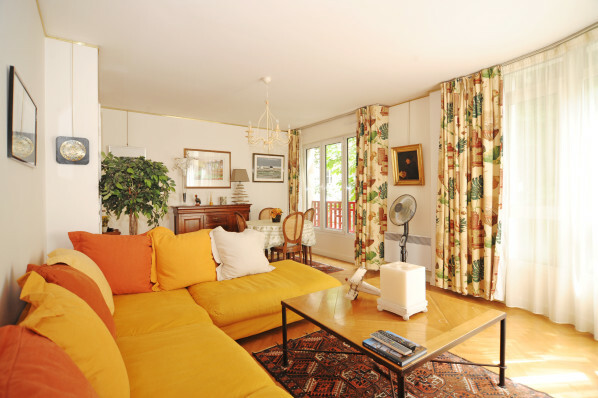 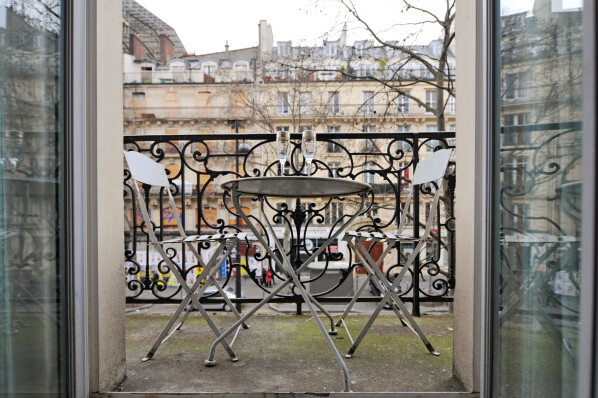 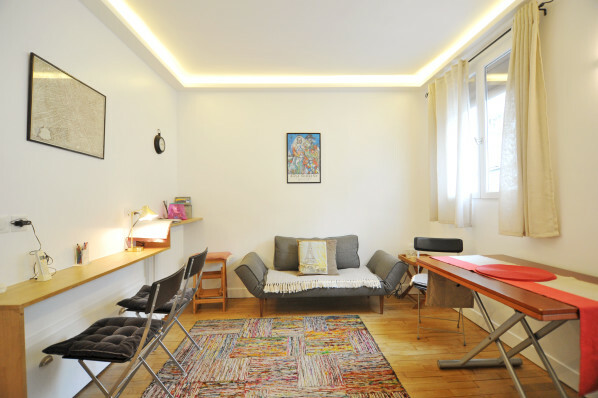 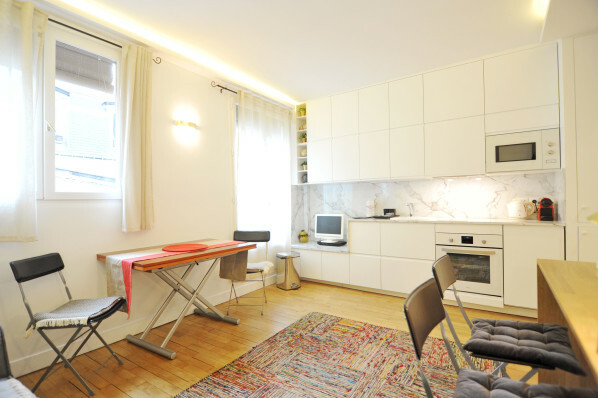 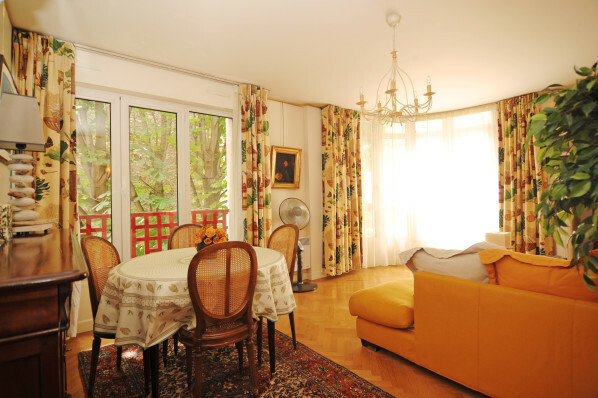 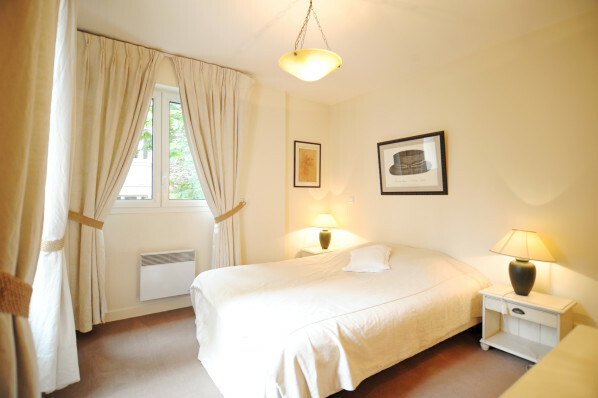 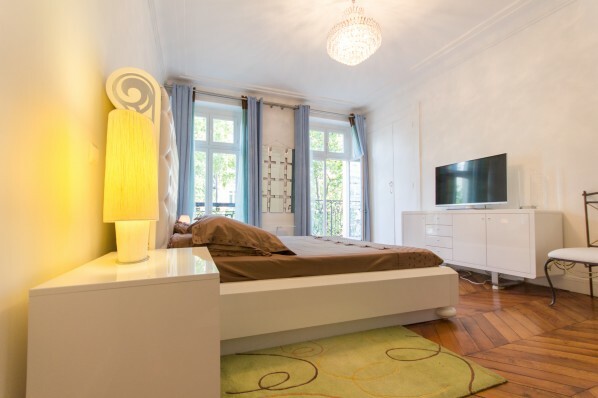 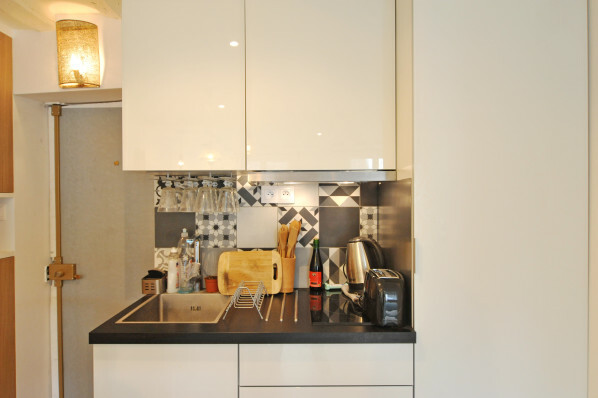 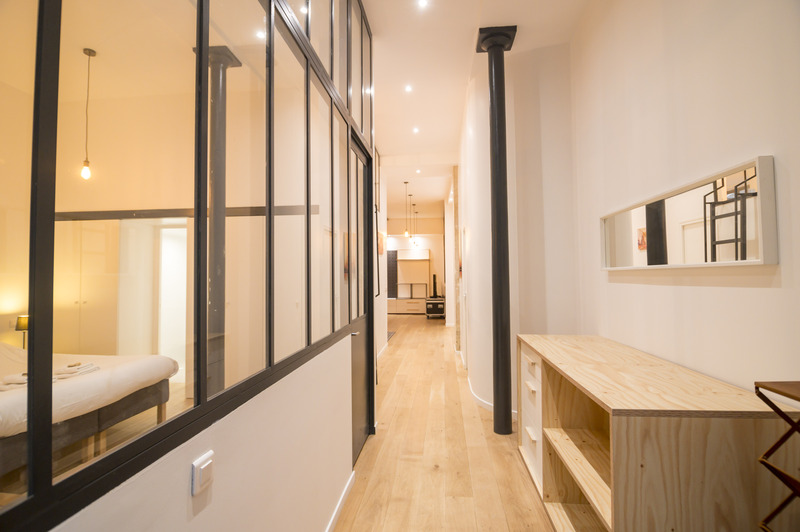 Located right on the doorstep of the beautiful Jardin des Plantes, this large studio in the heart of the Latin Quarter offers a charming place from which to discover the City of Lights. 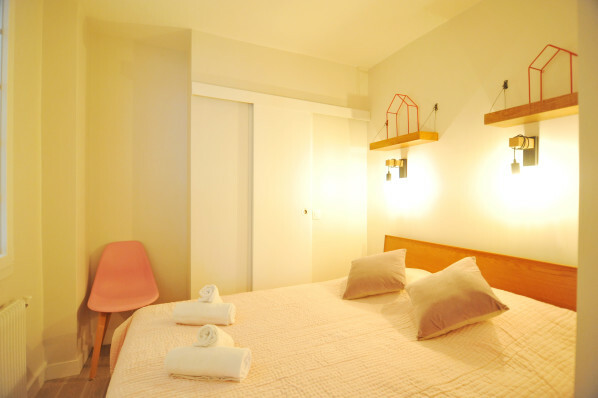 This cozy apartment accommodates up to two guests, and is fully equipped with modern conveniences, from washing machine to high-speed Internet. 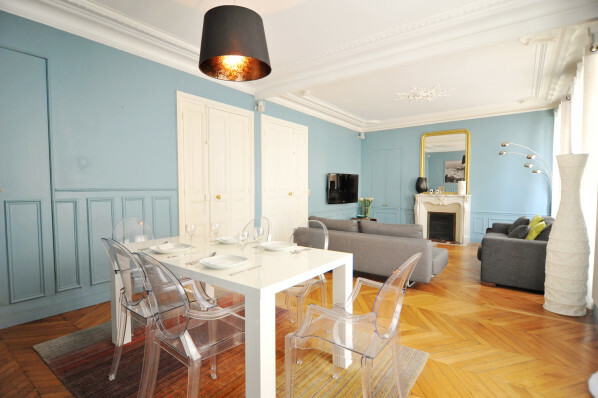 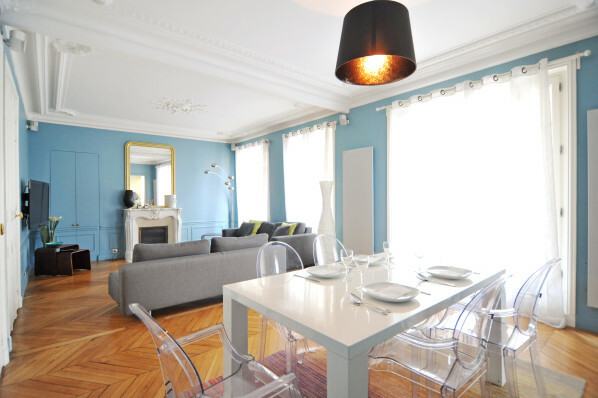 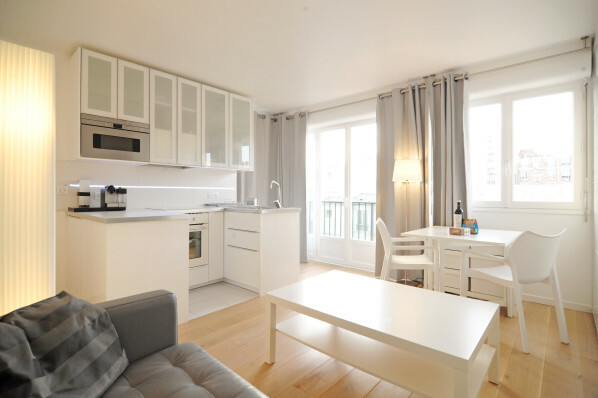 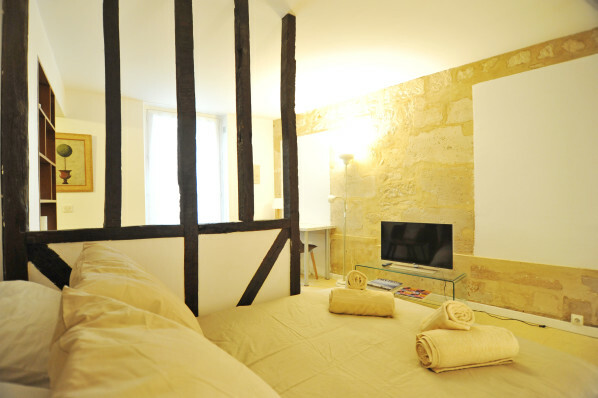 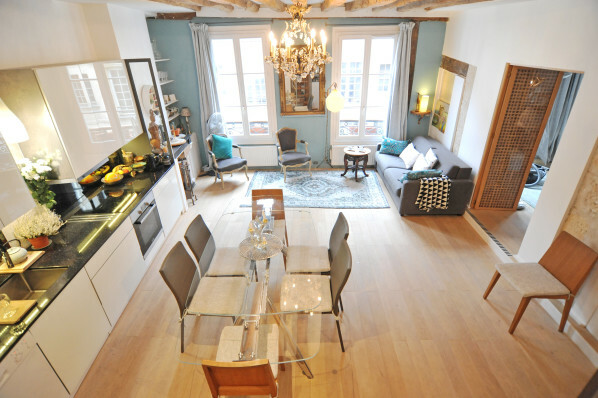 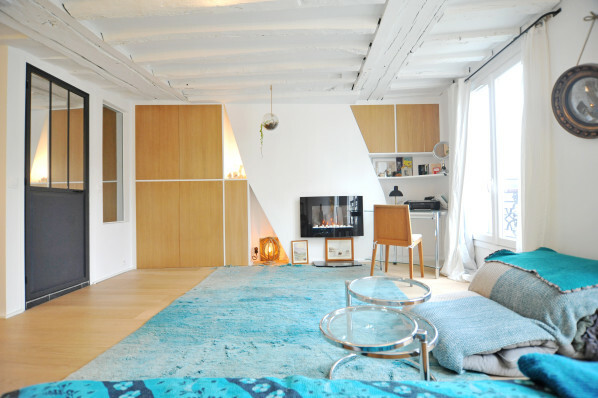 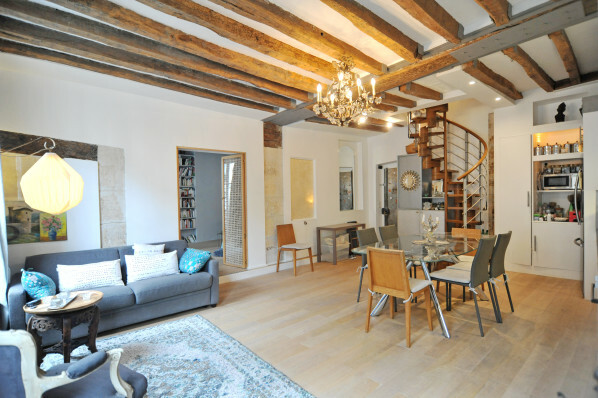 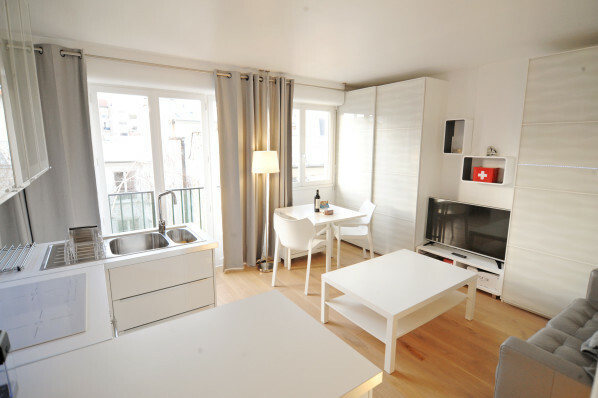 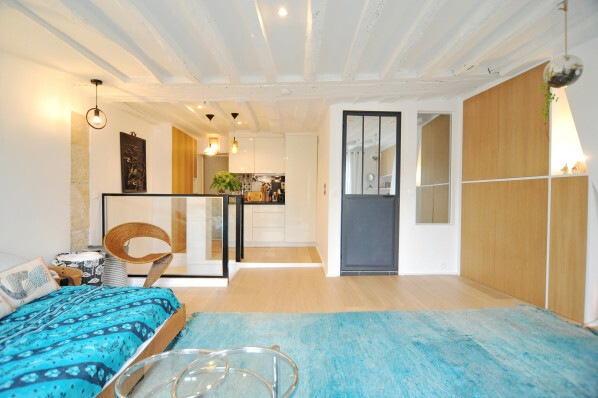 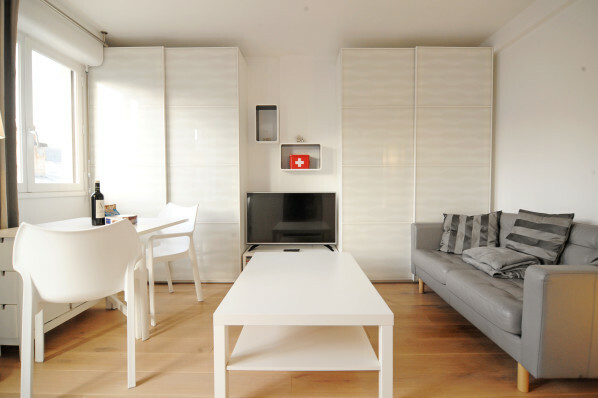 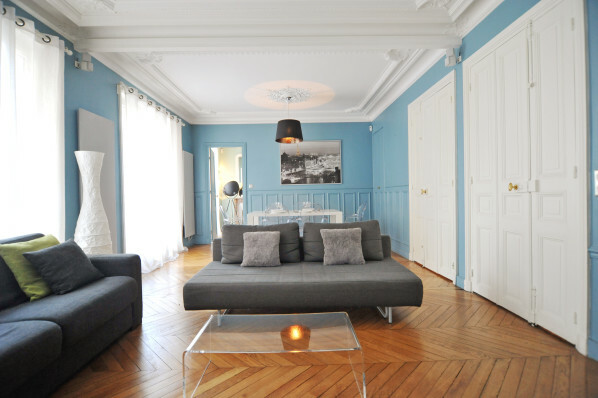 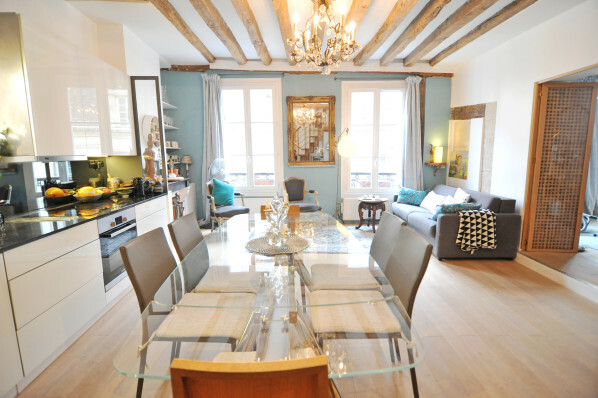 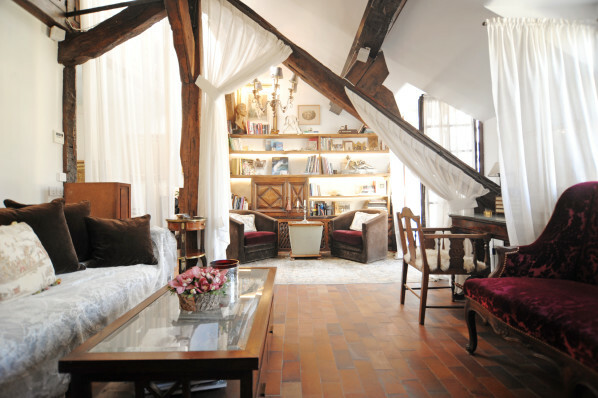 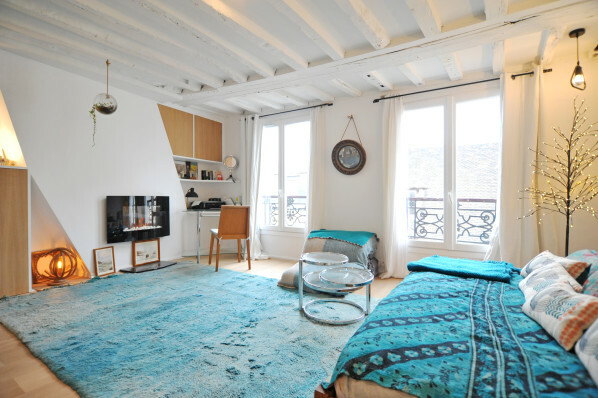 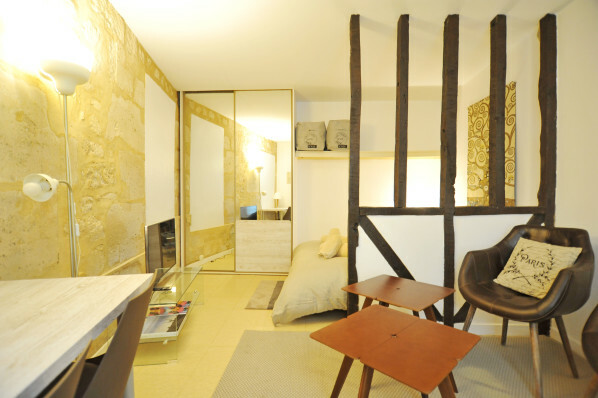 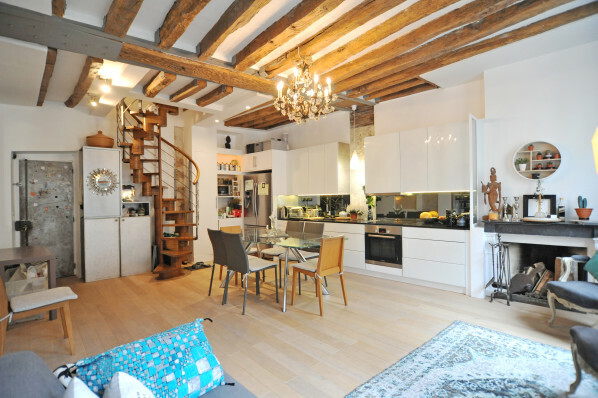 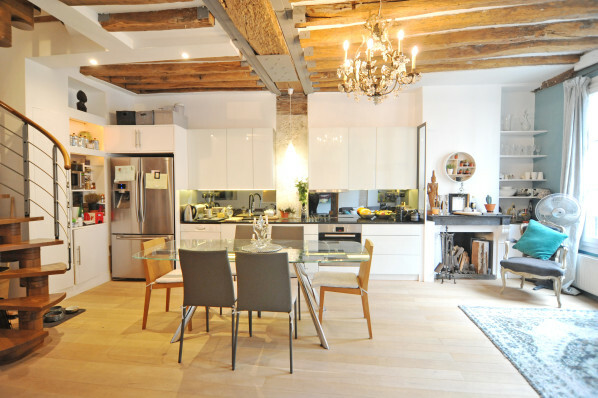 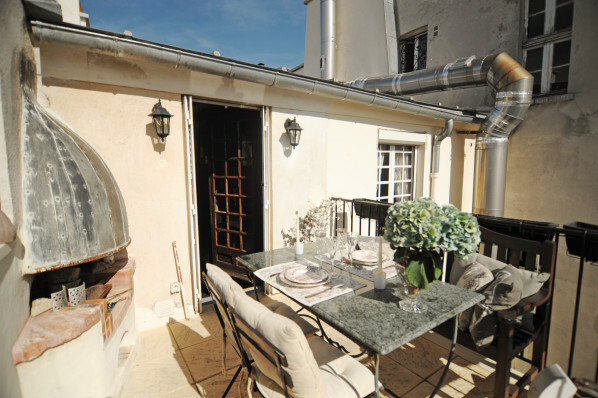 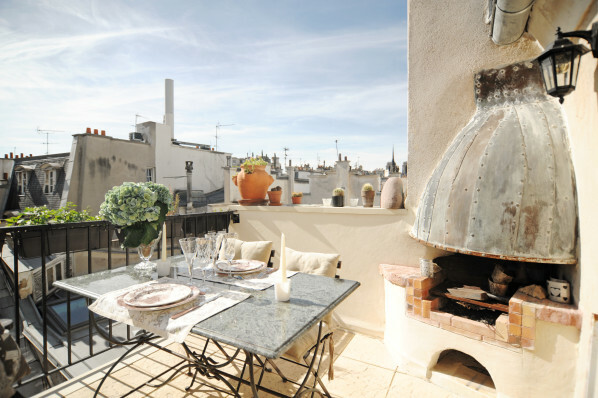 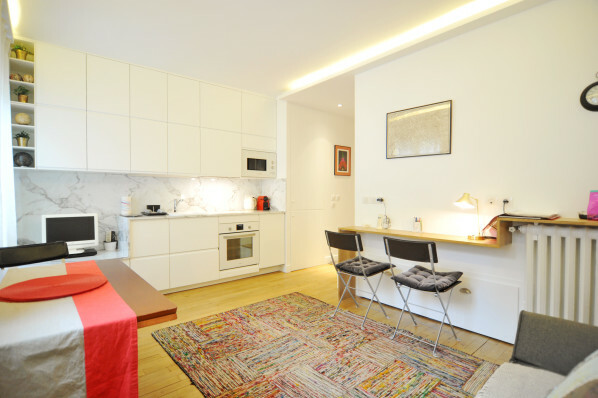 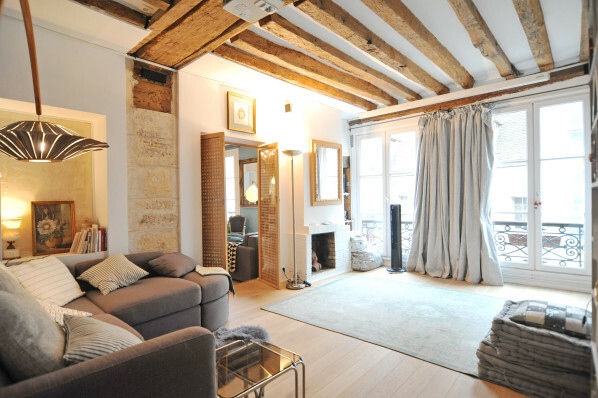 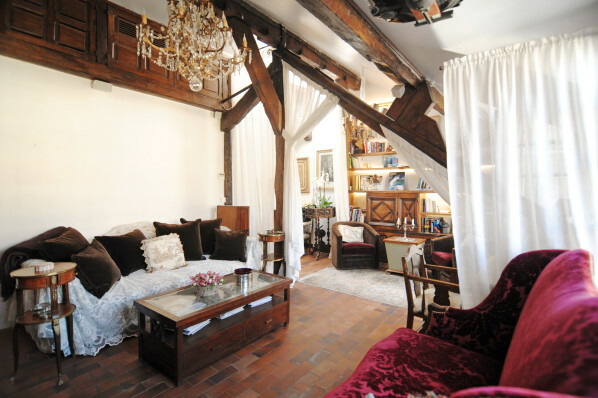 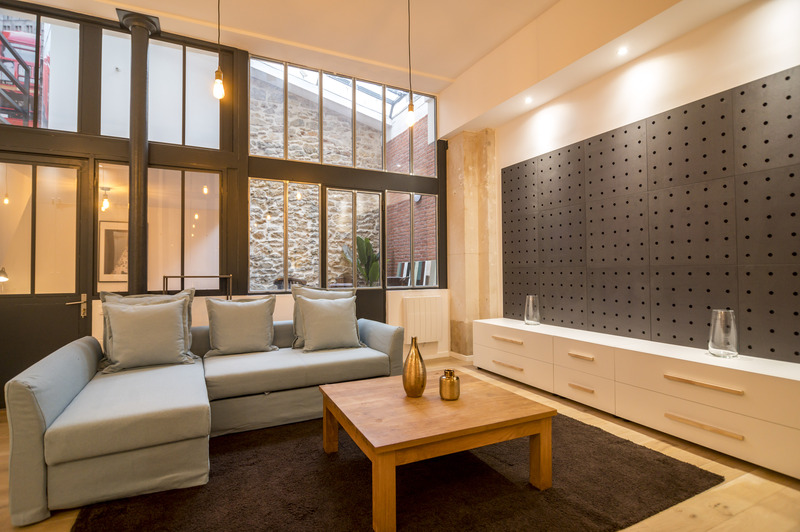 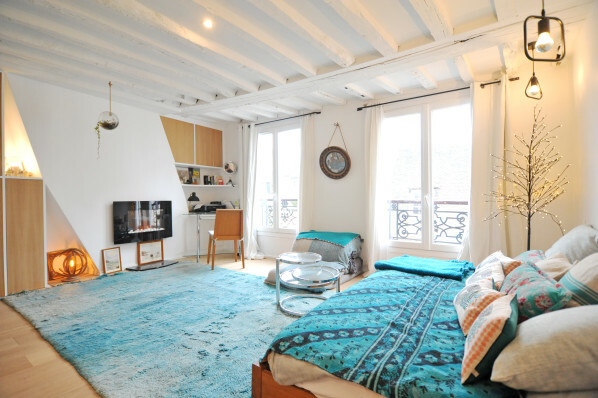 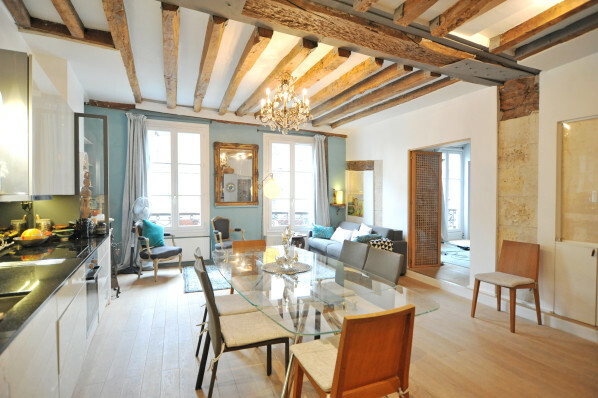 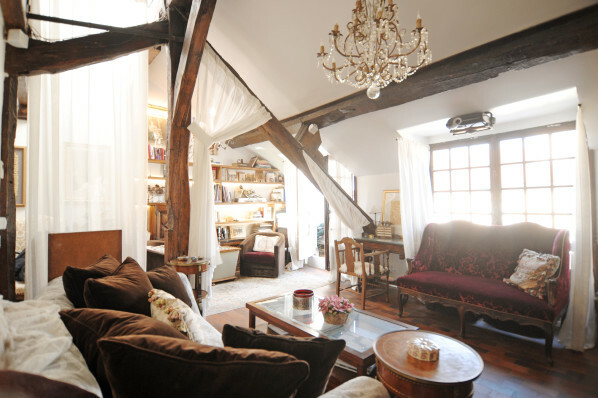 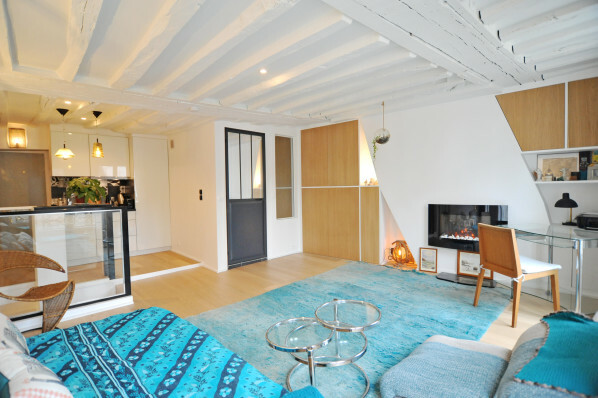 Make this apartment your home in Paris for an unforgettable stay! 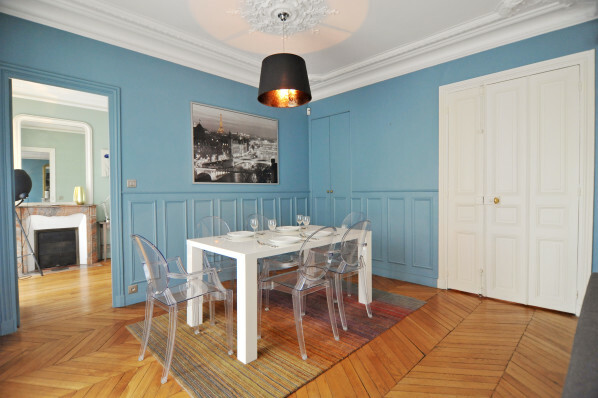 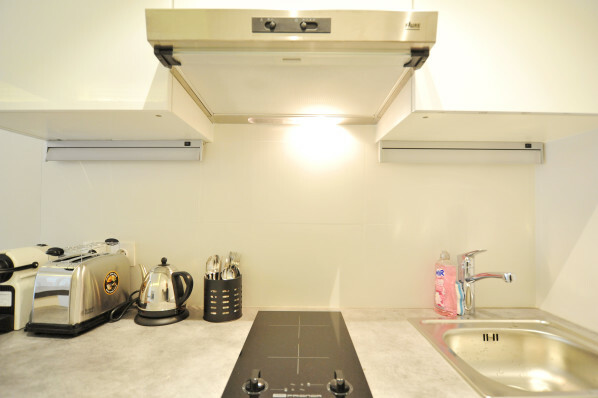 This lovely apartment has just be remolded, and is centrally-located in the heart of Paris in a typically Parisian building, having all you could ask for right at your feet. 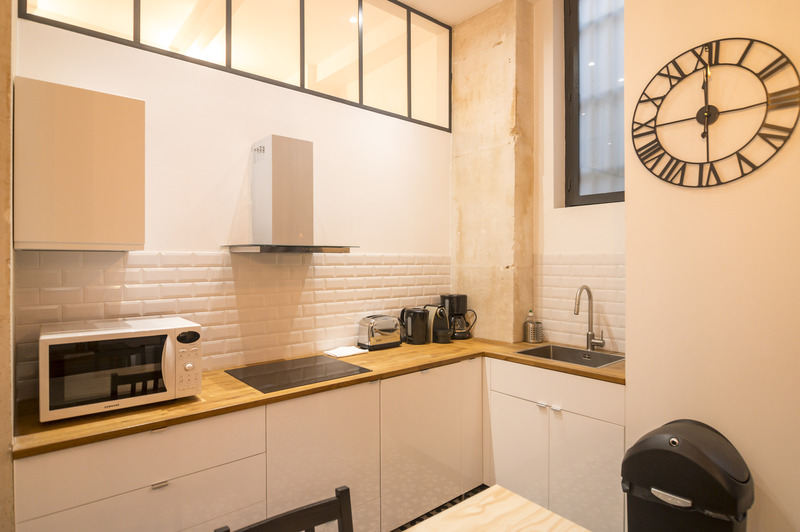 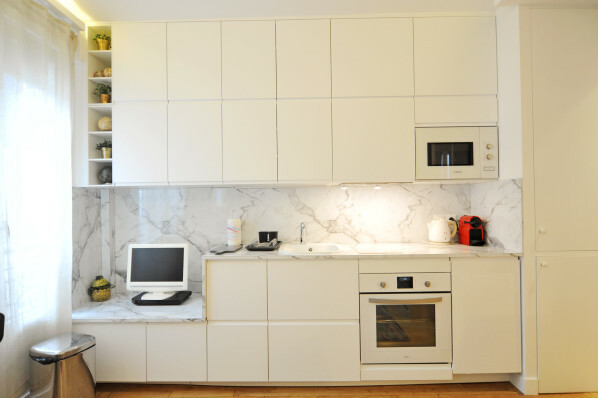 A quality kitchen houses all your essentials (dishwasher, refrigerator, oven, etc.) 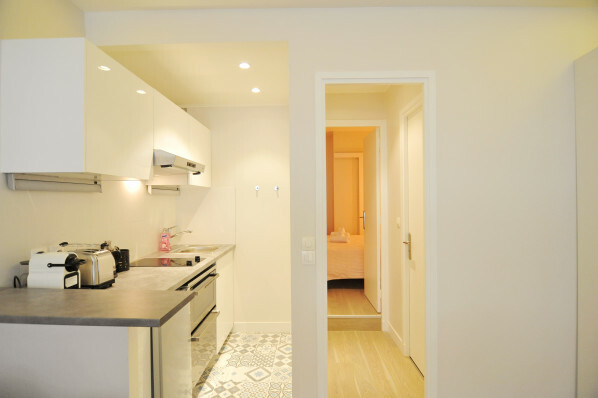 and the apartment has a clothes washer as well. 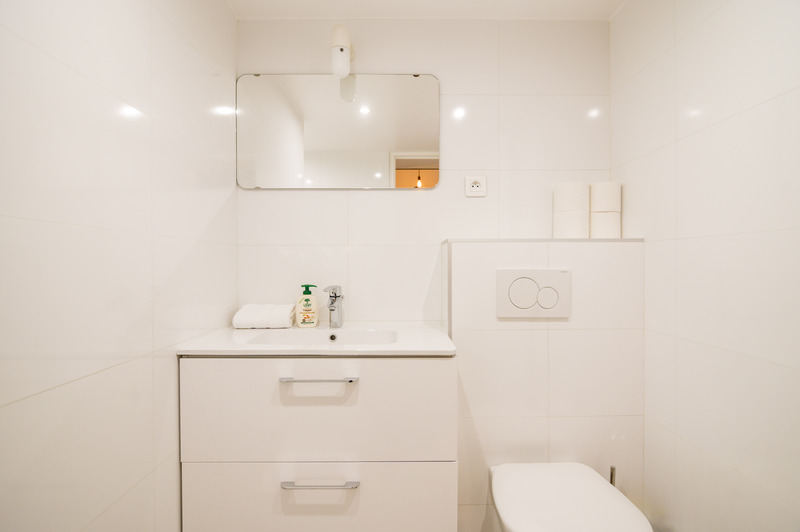 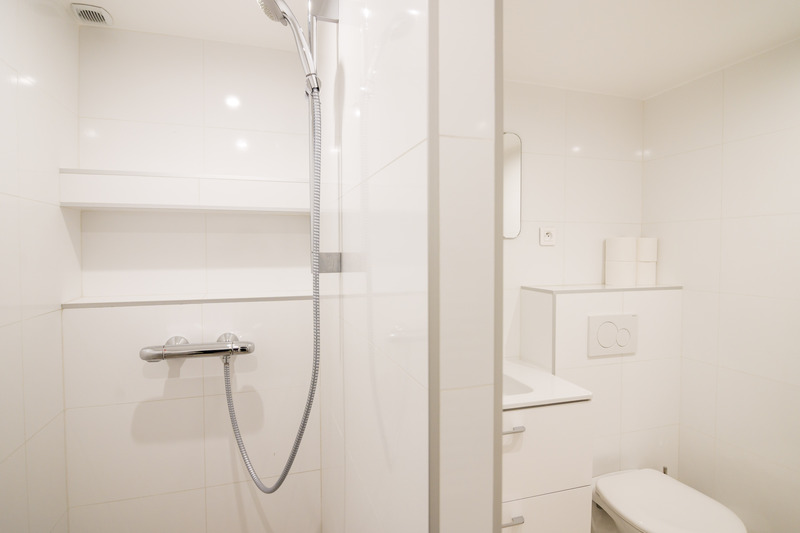 The shower room boasts a powerful directional shower with a separate WC (toilet room). 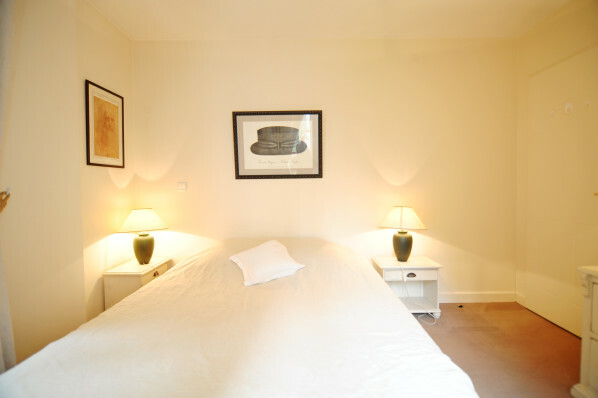 The bedroom calm and quiet with a luxury queen-size bed suitable for two adults. 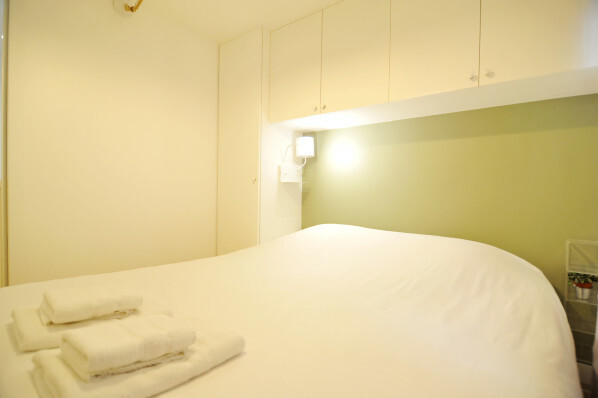 Two other guest may sleep on the sofa bed in the living room, and we can also provide a travel crib if you are traveling with an infant.